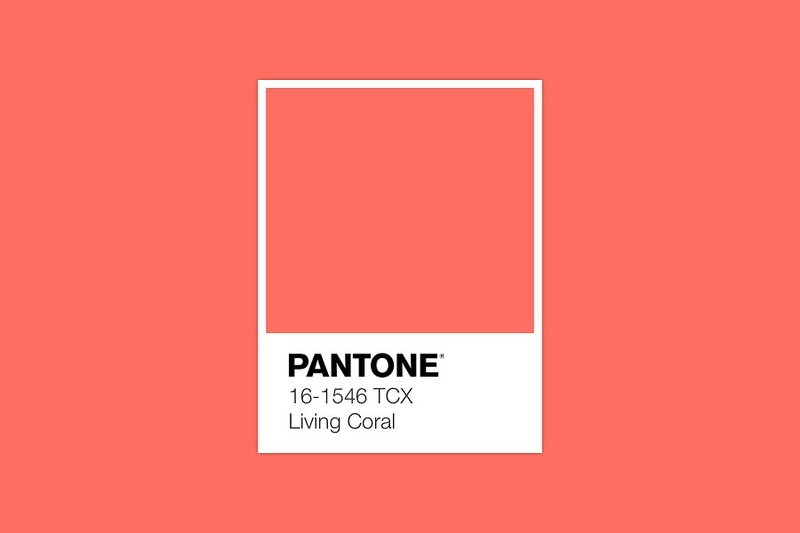 This week’s decorated basic print style paves the way for lots of creative options. 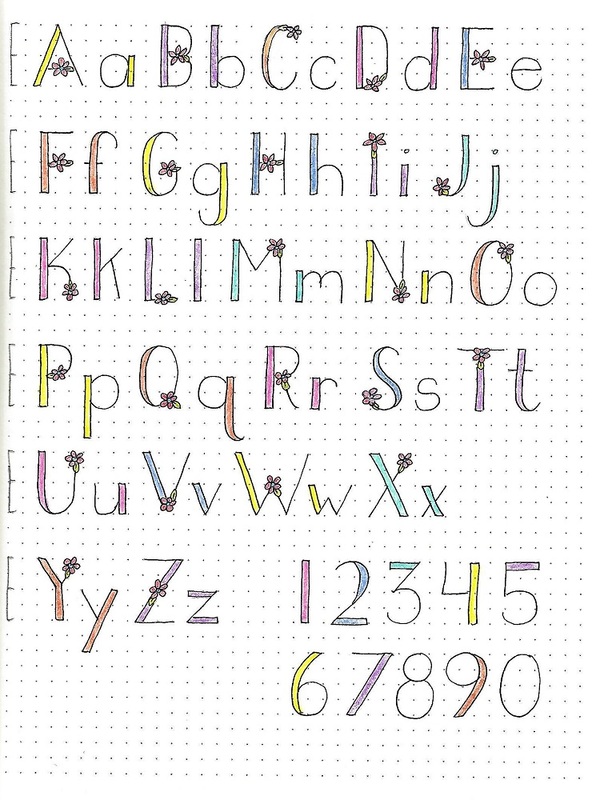 On the design sheet below is first a step-by-step to letter construction, including the form of the flowers. After you’ve worked through that, let’s start exploring the special signage! Note, first, that the base letters are usually 2 units wide and 4 units tall. This will sometimes vary for truly slim letters like the ‘I’ or over-wide letters like the ‘M’ and ‘W’. 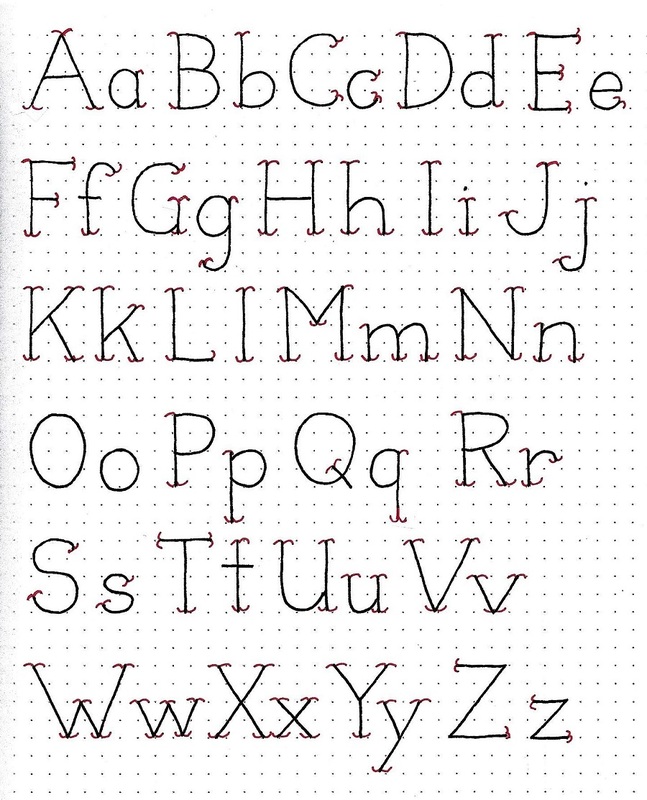 Work to get consistent width on your double-line sections of the letters. The x-height on the lower case is ½ the height of the full letter height. All of the capital letters have one flower and one leaf and they are always on a line. Lower case letters can be flowerless or you can add a bloom to selected round-bodied letters, right in their center. Use judiciously as in1 flower to short/medium words and 2-3 on longer words. Keep your flower sizes consistent throughout your piece. When you’ve got all your drawing and inking done its time to decide on color options. 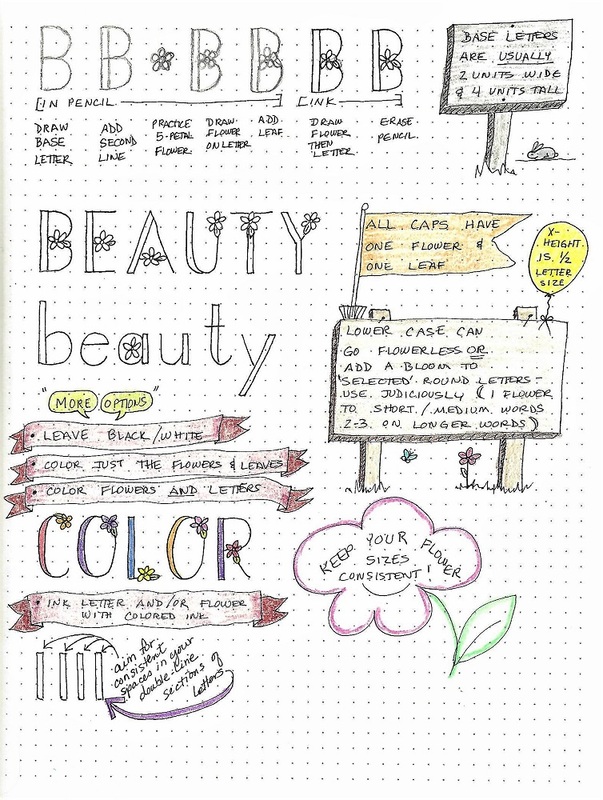 I’ve listed a few to consider: 1) leave the whole word black and white 2) color just the flowers and leaves – either with a variety of colors or all the same 3) color the flowers AND the letters – either consistent colors or a variety 4) ink the letters and/or flowers with colored ink instead of black. Today the lesson is pretty straightforward. 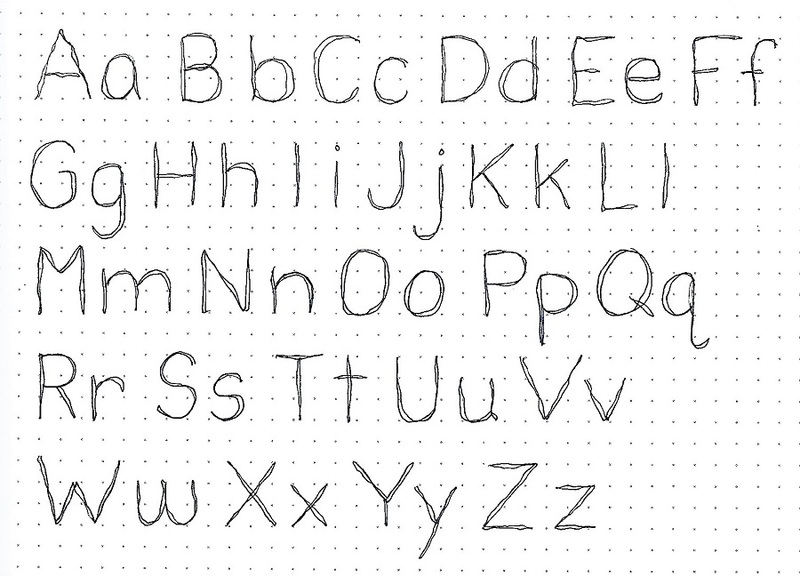 We’re going to write out the entire upper and lower-case alphabet. Use the flowers on ALL your capitals but leave the lower-case and numbers without. Refer back to the first lesson for pointers on forming your letters and flowers. I colored mine for fun but this is really your own reference sheet for the future so you might choose to leave yours uncolored. Let’s practice today with our letters by writing some song lyrics that use the word BEAUTY. You can see that I chose a L-o-o-o-n-g song so I had to shrink my letters. I also used some simple script interspersed! I chose to maintain the flow by using consistent color throughout. A little whimsy to fill the lower blank space? I used flowers to create notes on a music staff. 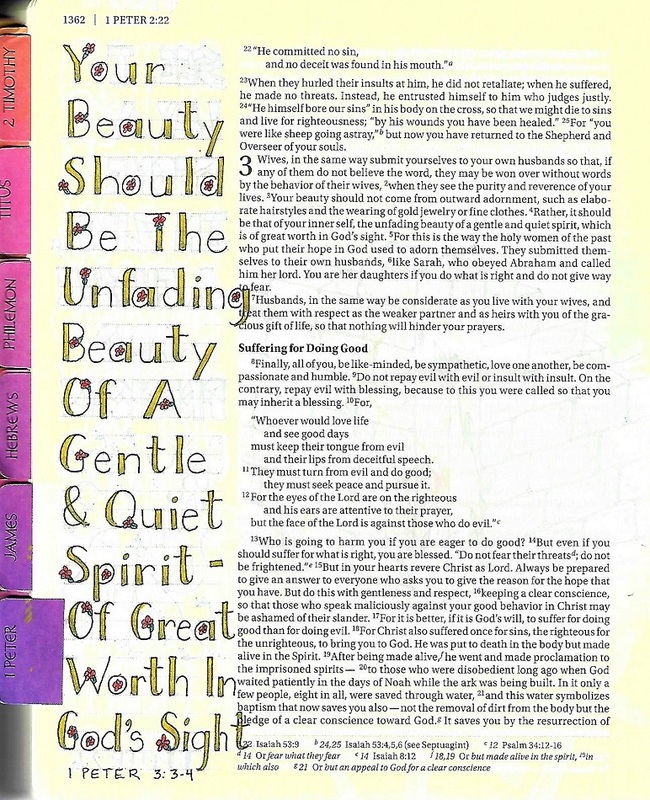 For more letter practice, today select a scripture with the word BEAUTY and write it up on practice paper. I used consistent coloring throughout my piece. 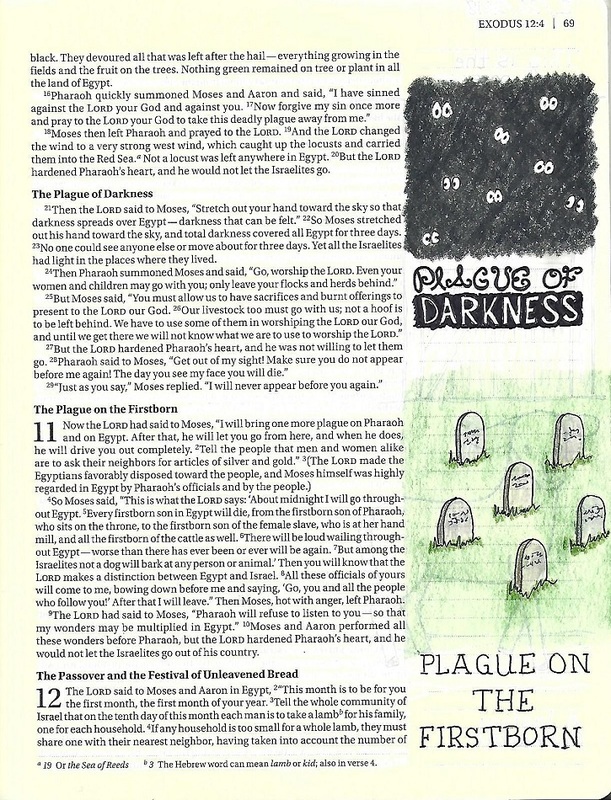 I want to point out how I messed up my layout by not making the word GLADNESS all caps to maintain the artistic concept I started with. The reason I want to show this to you is so that you understand that I am not anything special in the lettering department. I get inspired by something and just keep working until it becomes a whole designed alphabet. My practice pieces ARE for practice, not for presentation. Just like you, I need practice and it is not uncommon for me to have to do things over! 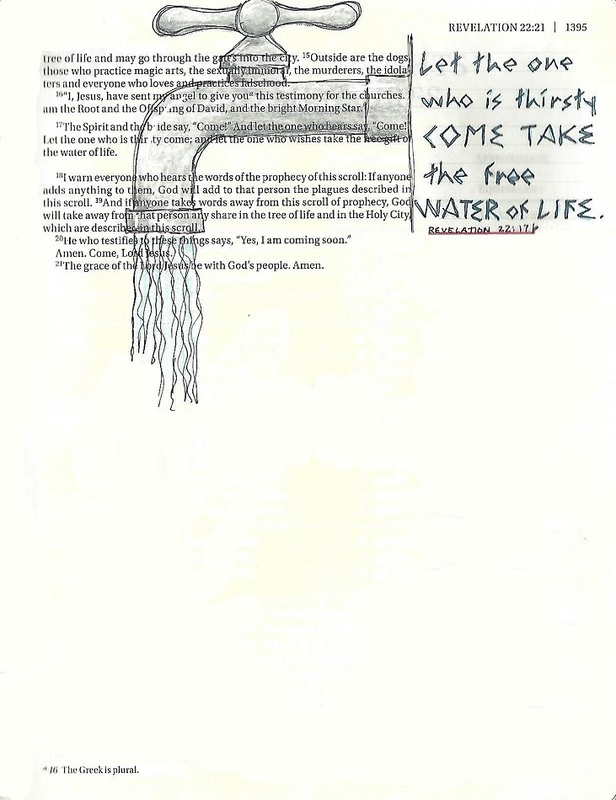 Friday is the day we use our new font in our Bible with the focus word in the scripture. If you wish, use a different form of the work like ‘beautiful’. On the other hand, you might want to work with a work like ‘grow’ ‘bloom’ or ‘garden’. 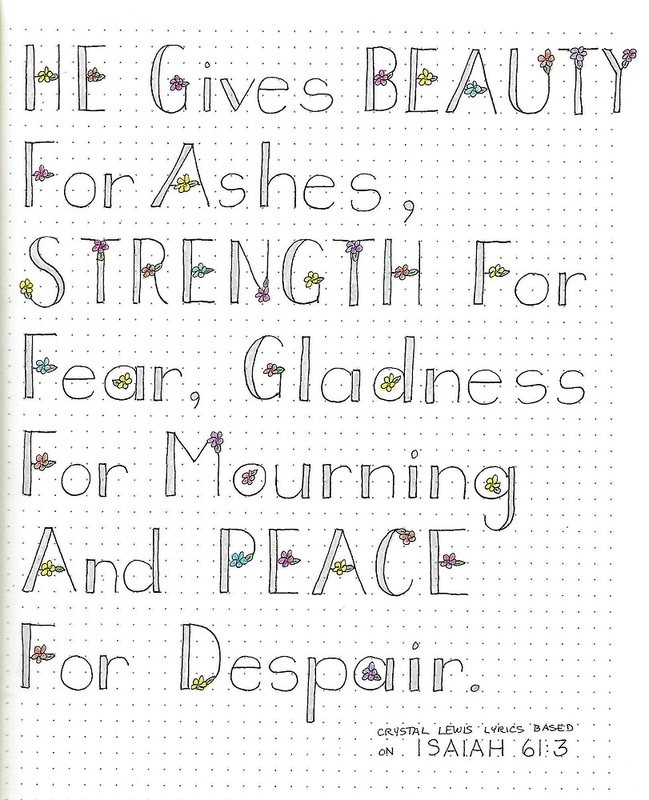 For my Bible page I used a red ink for the flowers, green for the leaves and glitter gold gel pen for the letters. I wish you could see how glittery these letters are. I think I’ll leave off illustrating this page – at least for now. 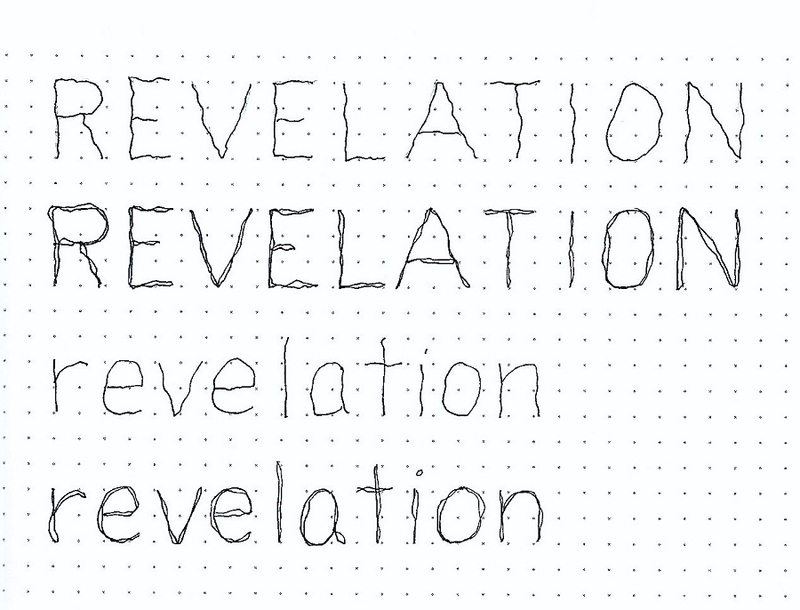 I am having such fun doing these lettering lessons. Starting in January 2019 I will have a series that takes us step-by-step from basic print to decorated print to script, brush script and bounce lettering. I don't know how long the entire series will be. I guess we will know when we get to the end, huh? 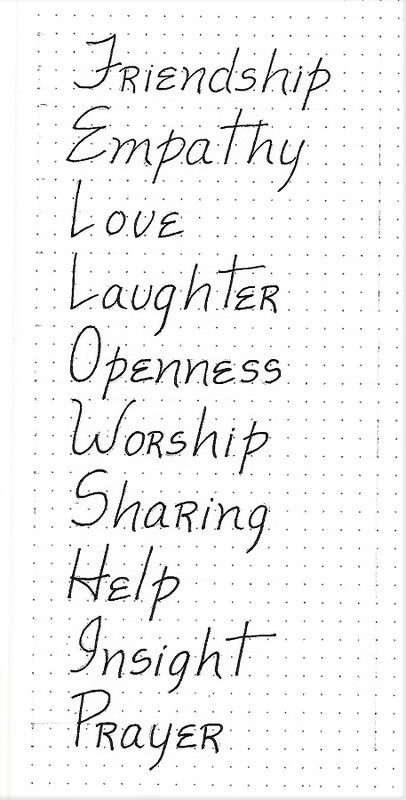 I found a cute font in a book I own and did some edits to teach it to my group. The font this week is likely going to be a big challenge for everyone. I know it was for ME! But it is just so beautiful and there are so many creative options for using it, that I wanted to teach this to all of you. We can really have some fun with this! 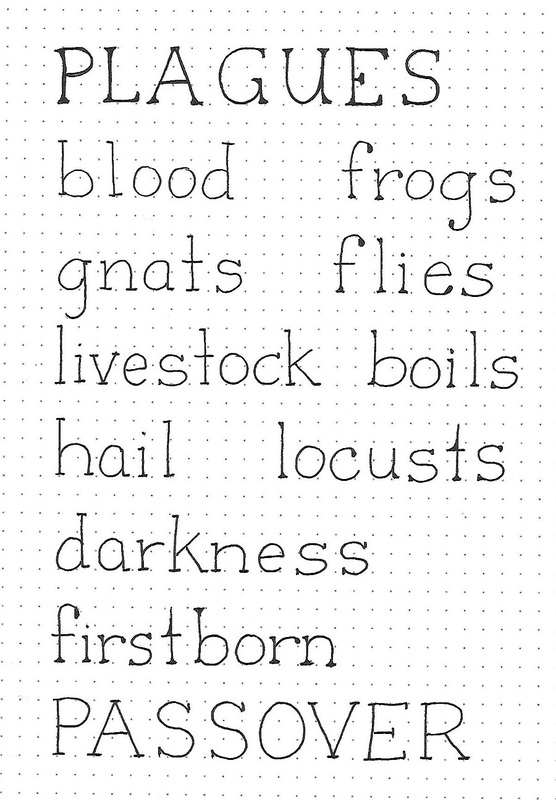 I called this font ‘Inherit’ but in this sample I used the form ‘inheritance’ so we could play with more letters. 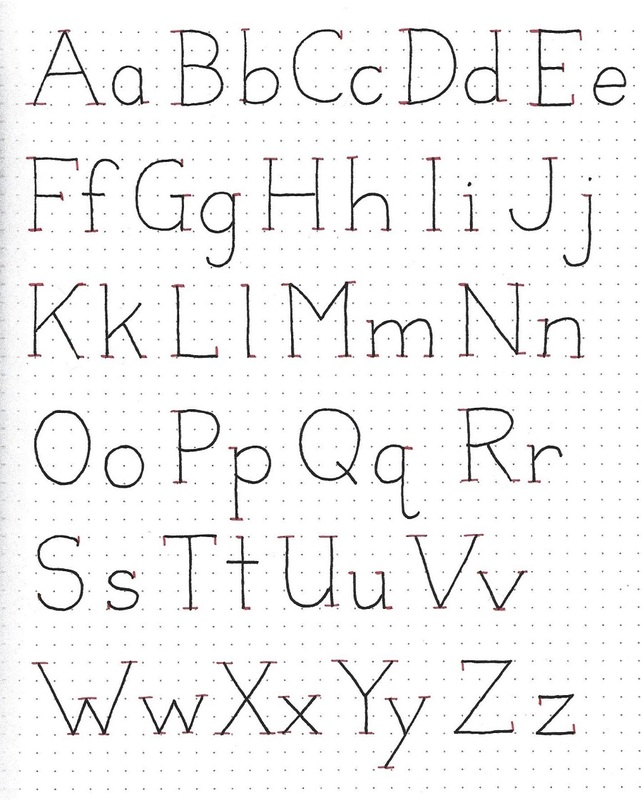 There are several steps to forming the letters in this font. They may change slightly, depending on the letter, but here are the basics: Steps 1-5 are done IN PENCIL. 1) Draw the base letter shape. Most will be 3 units wide and 4 units high. 2) Add a thin second line where indicated. 3) Add a line on either side of those that will be wider. 4) Add ‘wings’ to lines where indicated. 5) Add curves, curls or tips where indicated. 6) Now switch to ink – fill in the single lines, the double lines retain a thin white strip between them. Ink the wings and other features. 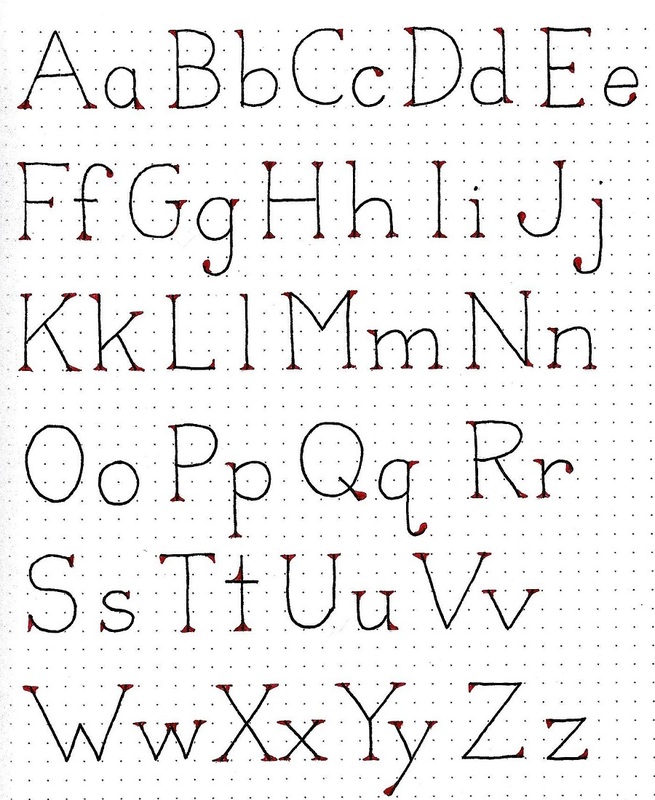 7) Decorate the letters by adding contrasting ink ‘next to’ the left and bottom lines. Once you get the sample ‘N’ done, go on to the whole word. I used gold glitter gel pen for my ‘shadow’ lines but you could use thin red or yellow lines for a different effect. Good news! Since you learned 8 letters yesterday, and there are no lower-case letters, you’re 1/3 of the way done already! How cool is that? What I love about this font? The little wings on the top and bottom, the double lines, extra little curls, the contrasting shadow lines… yes, I’m smitten. I will admit that it is hard to get the thickened lines even. Don’t worry about it! Just do your best. The overall effect may just look more rustic. You can also try a thicker pen. I used an 08 Prismacolor. Later in the week I switched to a Prismacolor brush marker. Well, today we’re going to try out a bunch of variants on using the ‘inherit’ font. 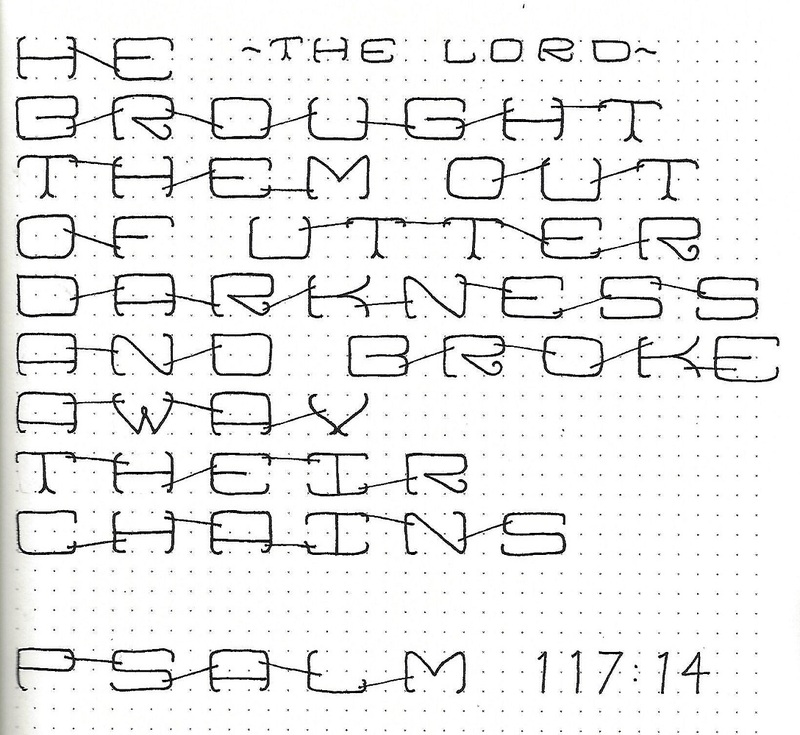 1) For the ‘dots’ version, fill in all of the lines, both thick and thin, completely. Then use a white gel pen to make a line of dots where the open space would have been on the double lines. Leave off the thin shadow lines. 2) Use as a ‘monogram’. Remember, monograms have the last initial larger and in the center. Leave off the thin shadow lines on this one, too. I used my sister’s initials because my own (DDD) don’t really look good in monogram form. HA! 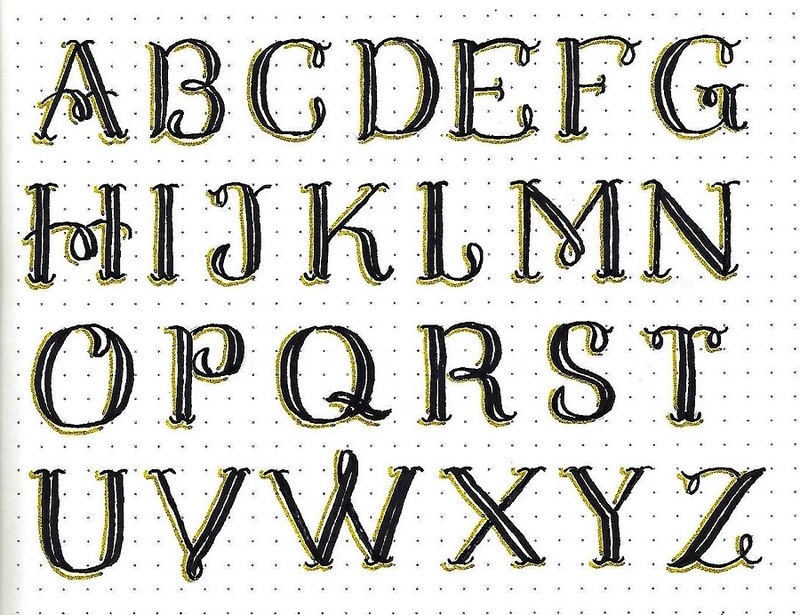 Use gold glitter gel pen to create scrollwork behind the initials. 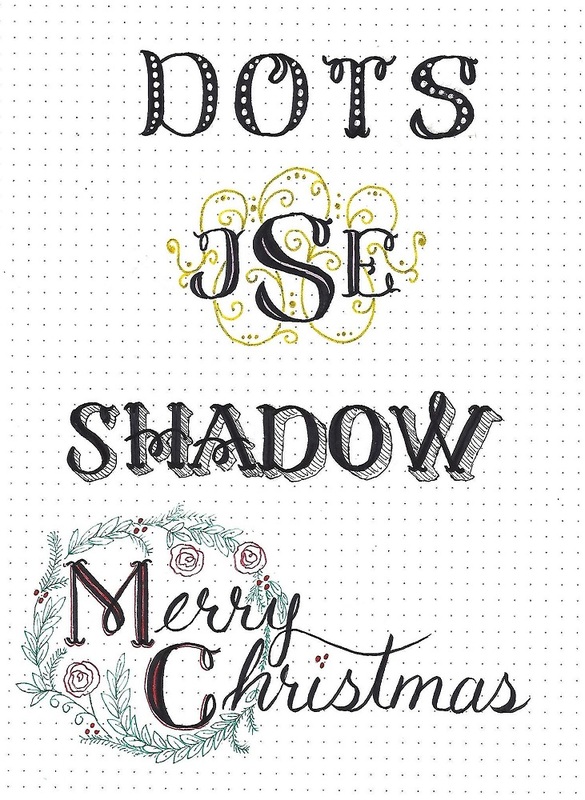 3) For the ‘shadow’ word, fill in all of the letter solid and leave off the thin lines. Instead, draw in a drop shadow on the lower right and fill with angled lines. 4) Use the font for only the initial letters of your words. Use a contrasting color to fill in the center spaces in the double lines. Use the same color for the thin shadow lines (I used red for both). Complete your words with faux brush script. Create a wreath (pencil first in the design stage) and ink with red and green fine-line markers. 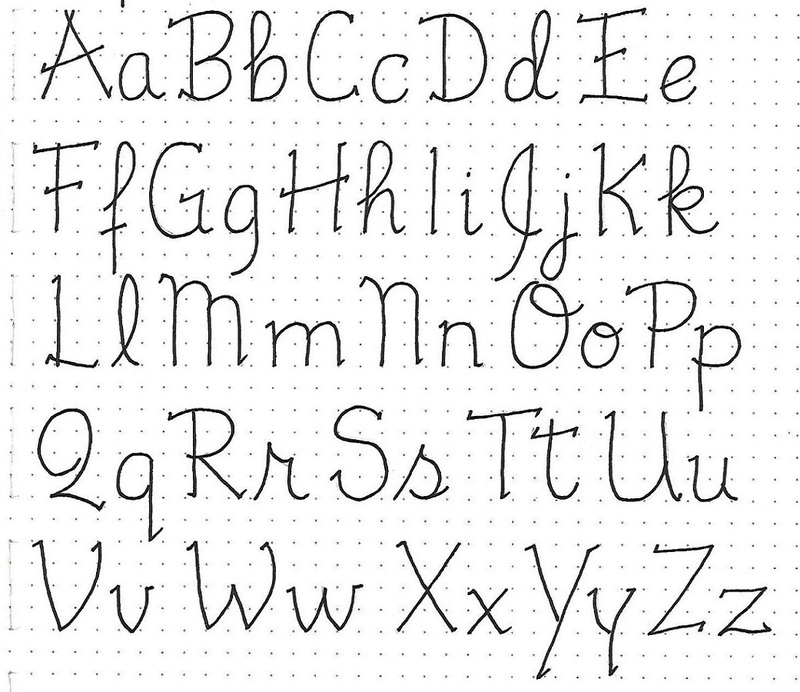 If you haven’t tried faux-brush lettering yet, it is based on script handwriting and all of the down-strokes are thickened to make it look like you used a fancy pen. It’s easy-peasy and looks fabulous. 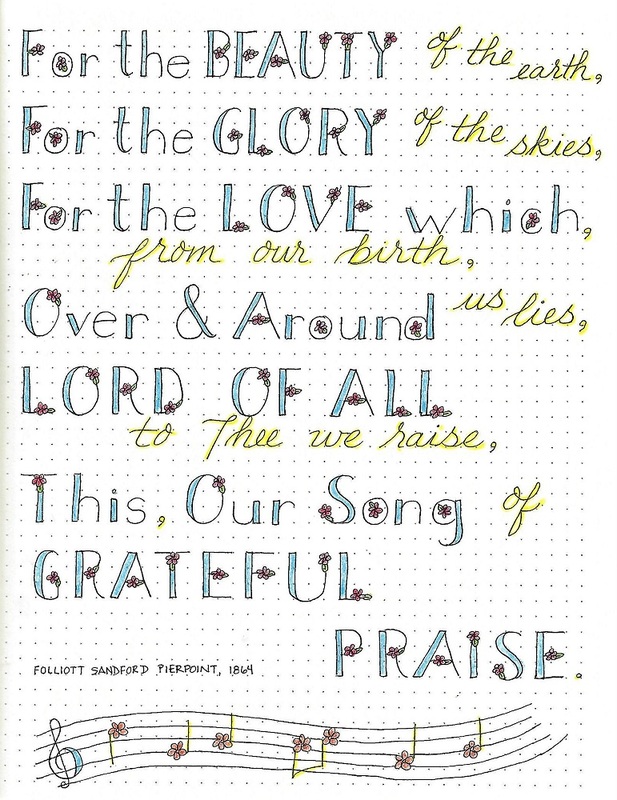 See Susan Stump’s video instructions here: http://creative-bible-journaling.com/lettering-lesson-2-brushed-joy/. 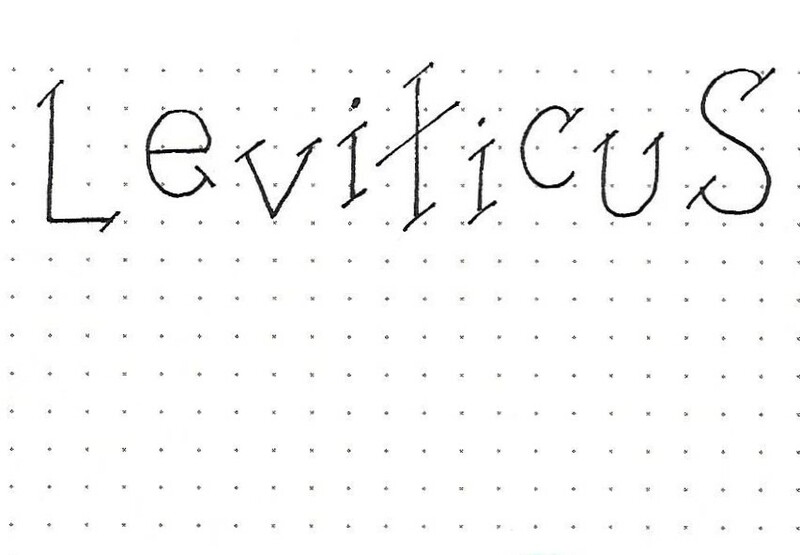 You may come up with even more ideas for using this font. 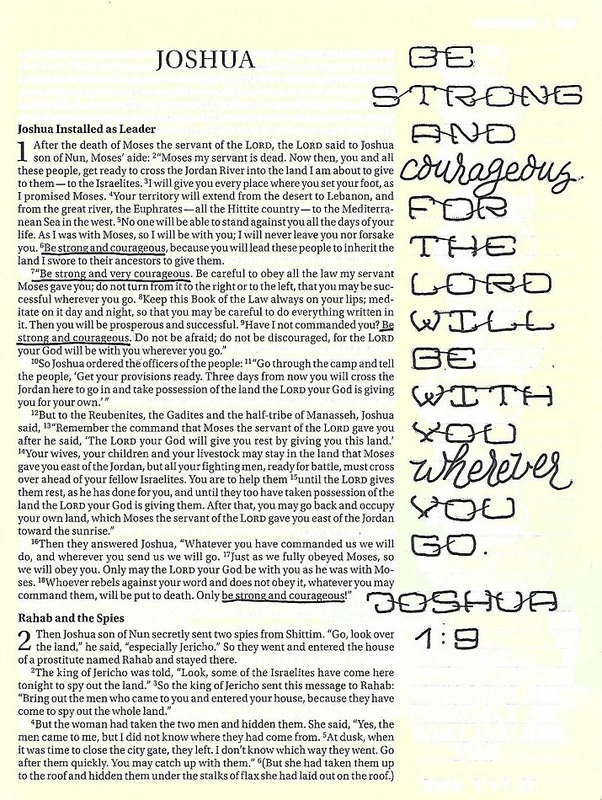 Today we’re going to use the new font to write a scripture with the focus word on our practice paper. Because it is so labor-intensive and takes a great deal of space, I used it only for a couple of the words and used two other fonts with it. As you can see it combines well with this faux brush script as well as a very basic upper-case print. 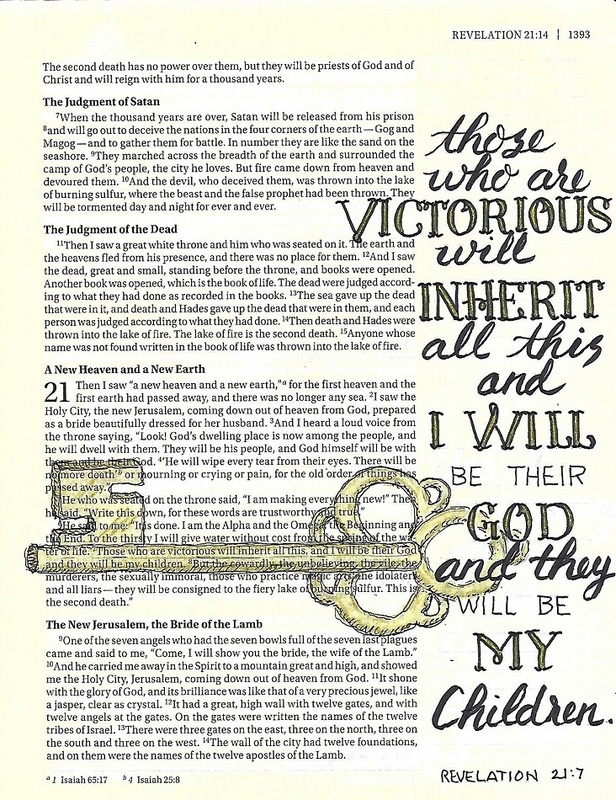 I used a skeleton key, which was in the week’s Drawing Room, to fill the bottom of the page and colored it with the glitter gold, as well. 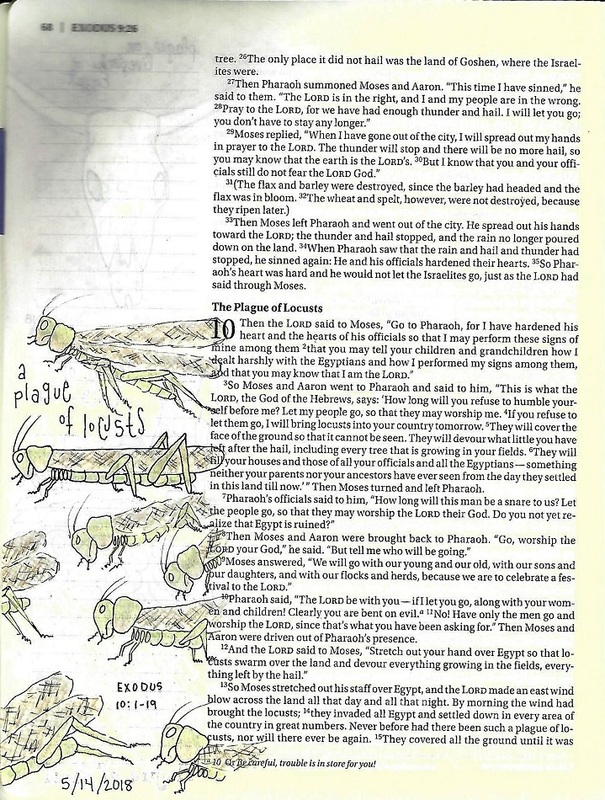 It will be a little more challenging to use the ‘inherit’ font in your Bible due to the fact that is takes a lot of space AND it is harder to shrink than a lot of fonts. 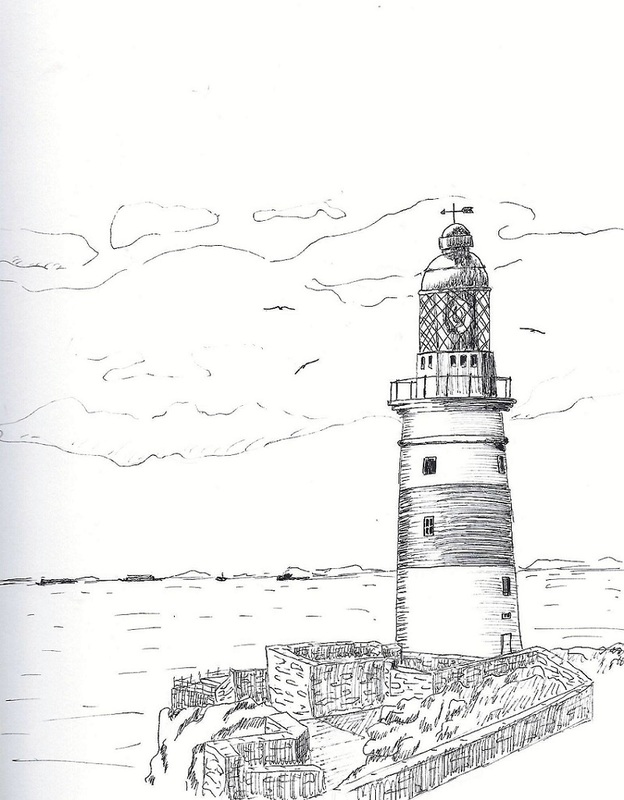 I used a medium-thick (05) pen to create the lines so they would not be too thick. Then I left off the shadow lines. But I used the glitter gold gel pen to fill between the double lines instead of leaving them open. 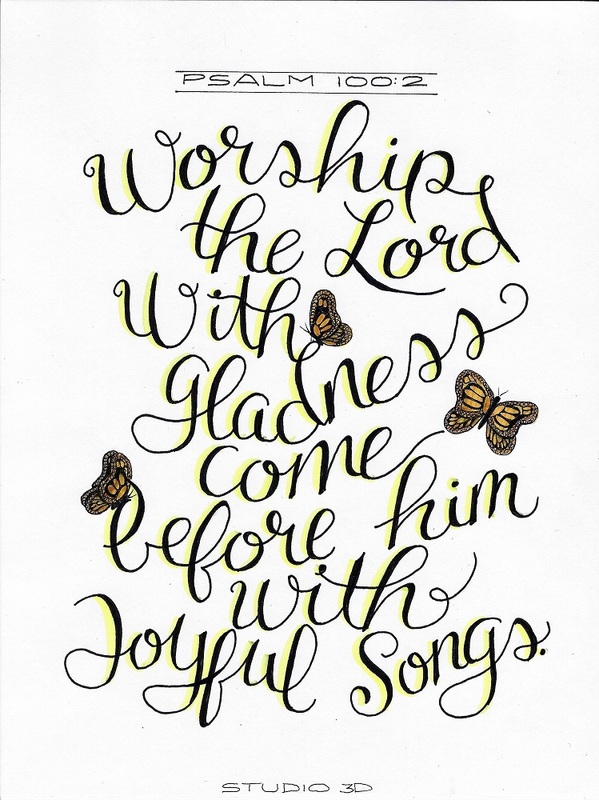 The font was combined with faux brush script (http://creative-bible-journaling.com/lettering-lesson-2-brushed-joy/) and a very simple, single line upper-case print. 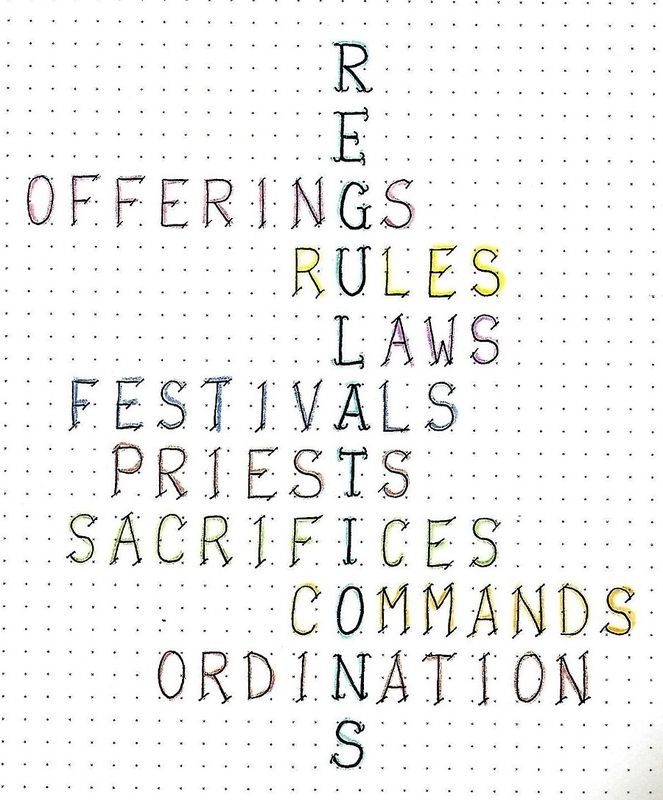 This has been a very fun font to use, mostly because it has so many options for embellishment. Give it a try! At the last posting of quilt finishes I indicated that I had three more to finish off to meet my goal of having six to donate to the hospital. Well, I have finished those three with a week and a half to spare! I've shared before about the quilter whose children gave our group all her fabrics when she passed away. The last piece I had of those I took was a yardage with half-square-triangles printed on it. I found a tutorial on Missouri Star Quilt Company for a block called 'Royal Wedding', that used 4 blocks of 4 hst. I cut the yardage into groups of 4 units with a 1/4-inch border for the seam allowance. Other 'Betty' fabrics with coordinating colors went into the internal sashings. TOTALLY different measurements than MSQC pattern but I got the effect and I'm very happy with this result. The next one was made from fabrics I got on deep discount. I selected the butterfly feature fabric and then chose several coordinates. 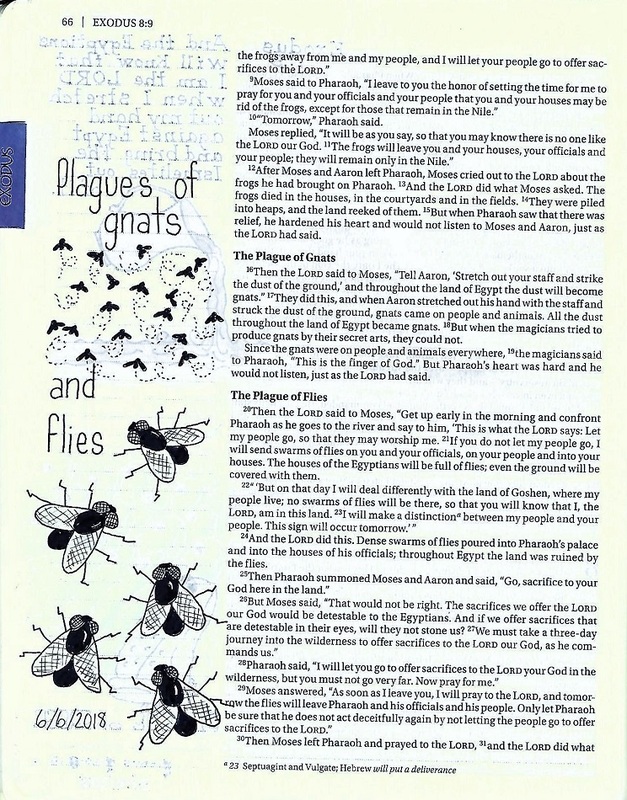 The pattern was torn out from a very old magazine. What looks like plain yellow is actually a gold imprinted over yellow. When I was buying that discount fabric, I bought more of the gold and then added several tone-on-tone fabrics in jewel colors. This is a pattern that I scratched out on paper and I have no idea what the source is! So this wraps up the year with 15 quilts finished. I have two more in progress, one cut but not started and one ready to cut. I have no illusions about any of these being complete by the end of the year so I am closing off the count. Of those, 14 went to charity (hospital or pregnancy center) and one to a lady who had just lost her companion dog. Many plans for next year. After all, the BIG fabric store just went out of business and I have three large bags of brand new fabric from their final sale! This week we will work with an italic print font with script-style capitals. A few of the lower-case letters actually are small caps! The x-height is 1/2 of the full letter height. This is not a particularly attractive font when all caps are used, but it does give you an opportunity to practice more of the letters. There are really few surprises in the full alphabet for the Fellowship font. However, note the styling of the ‘E’ and ‘e’, the long straight line that makes up the ‘f’, the extension on the top of the ‘p’, and the small-caps used for the ‘k’ and ‘r’. There’s a little extra extension on the crossing of the ‘t’, as well. These letters don’t look so remarkable here in the alphabet, but when you see them appearing in the words, later this week, I think you will be surprised how much style they carry. Don’t forget your scale – x-height is 1/2 of the full letter height. To fit this on my paper I had to reduce the scale to an overall letter height of 3 units. Thus, the x-height is 1 1/2 units (1/2 the total). Feel free to play with your letters in any way you wish – writing up words – to practice letter formation and spacing. Writing up a block of text has a totally different feel than the list I showed yesterday. Today, we are writing a scripture on fellowship on practice paper. Concentrate on getting the slant consistent and good spacing inside and between the words. This looks more like it could be someone’s natural handwriting, doesn’t it? It is OK on this font to allow the letters to be looser – not so mechanical – to maintain this feel. 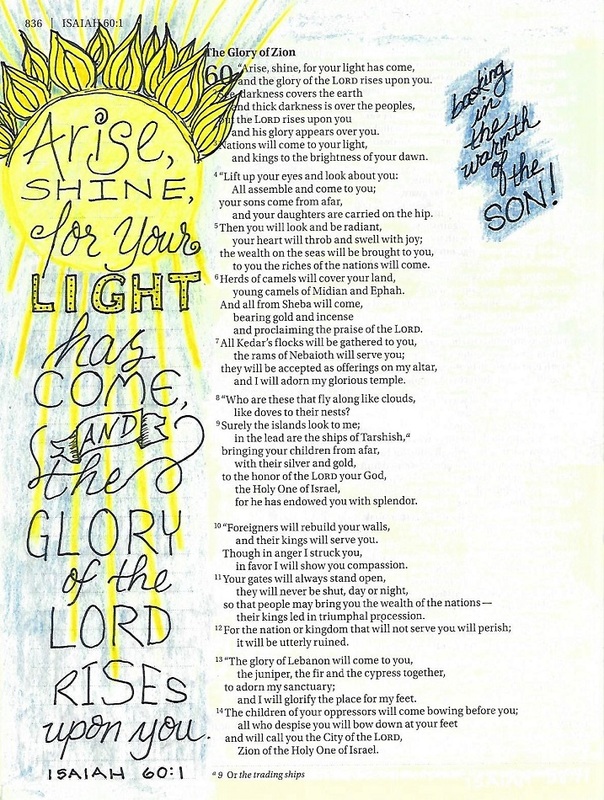 I decorated my page to go with the scriptural reference to ‘light’. 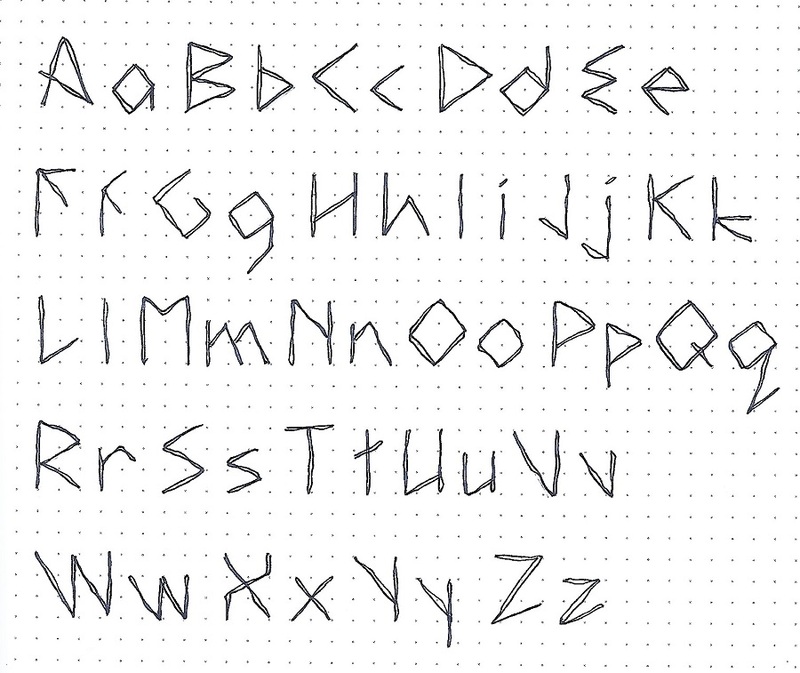 The more you practice with each font the better you will be able to replicate it. And the more different fonts you practice the easier new ones are to pick up. Your learning curve is shortened as you train your brain to see the features that make each alphabet unique. 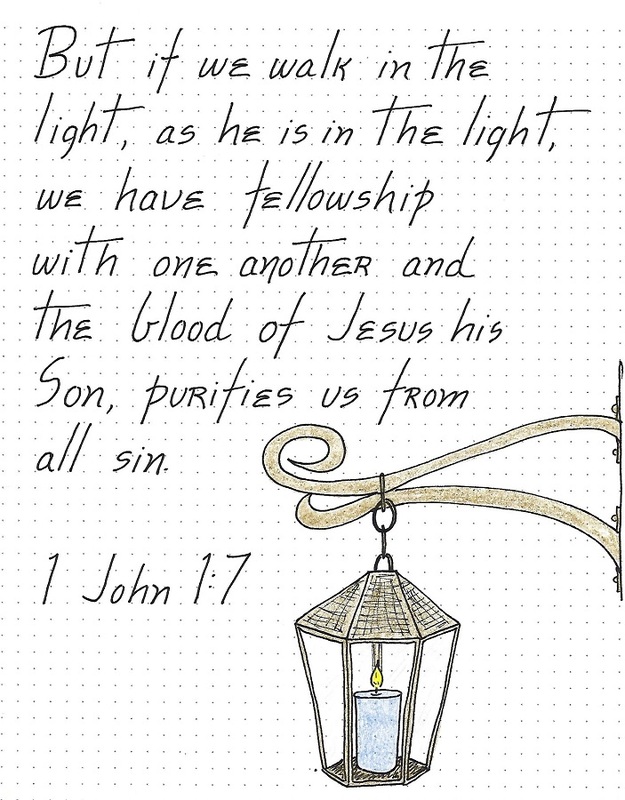 Find a scripture with the focus word ‘fellowship’ and use the new font to write it in your Bible. 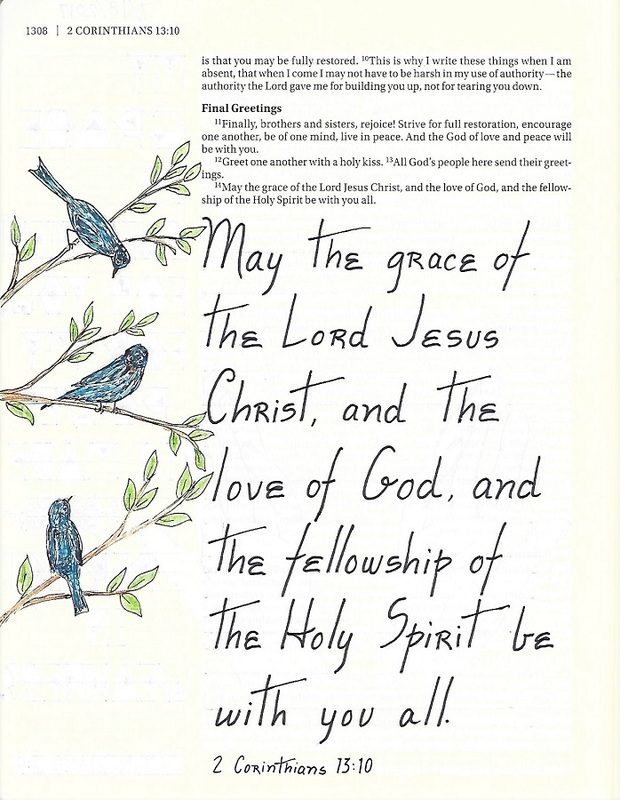 I used 2 Corinthians 13:10 and gave my page a few little birds ‘in fellowship’. 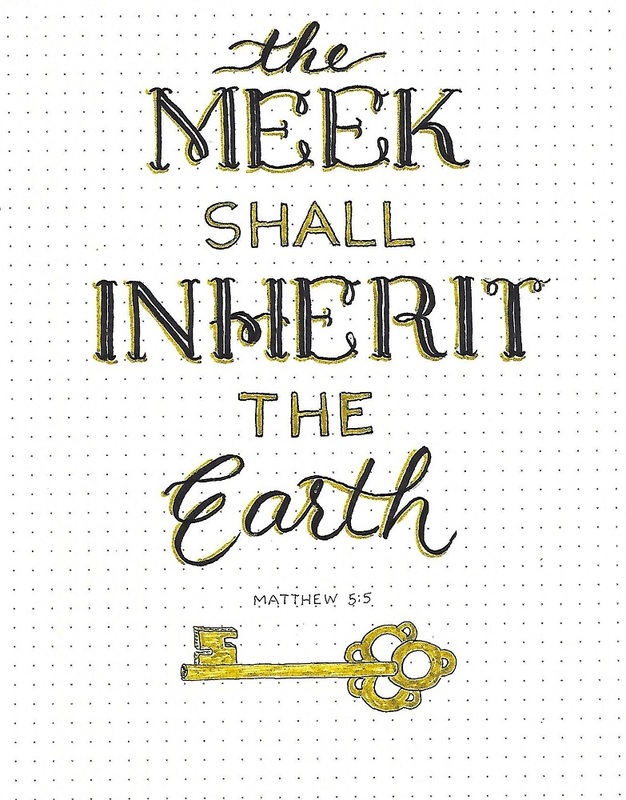 The ultimate purpose in learning these new lettering styles is to use them in our Bibles so I hope you will do the same. I was really amazed by how different this font looked in use as opposed to the written alphabet. Very pleased, I might add. I Did It - I Finished On Time! Despite being behind on the #BeThankfulFor challenge for a few days while I had to travel out of town, I did catch up by doing several days' worth at a time. This allowed me to finish ON TIME. The challenge ran with daily prompts from November 1 through November 30. All of the rest have already been posted so I only have two left to show. 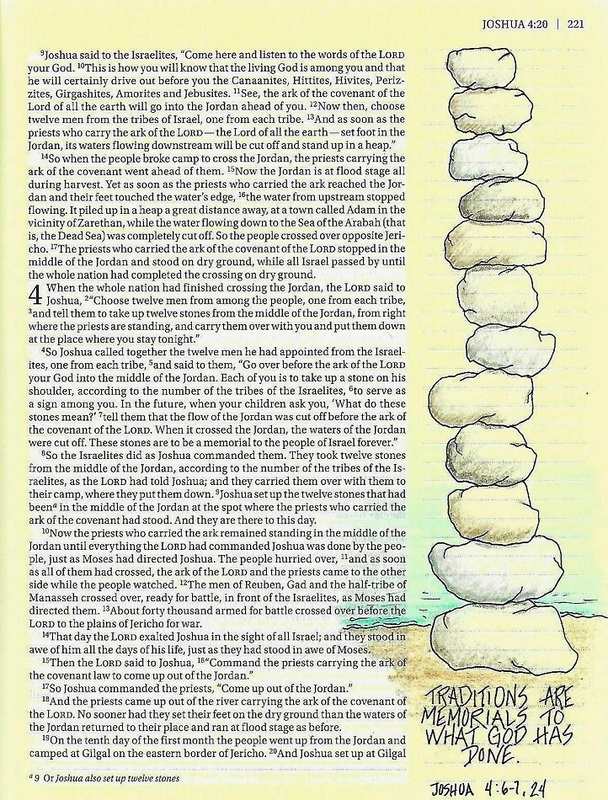 Joshua 4:6-7, 24 - A representative from each of the 12 tribes of Israel went out into the Jordan River and brought back a stone from the dry land, when the river flowed back into its course, they stacked the stones. The purpose was to have a memorial so that, when their children asked about it, they could be told how God took them across the river on dry land. It was a remembrance of a miracle. 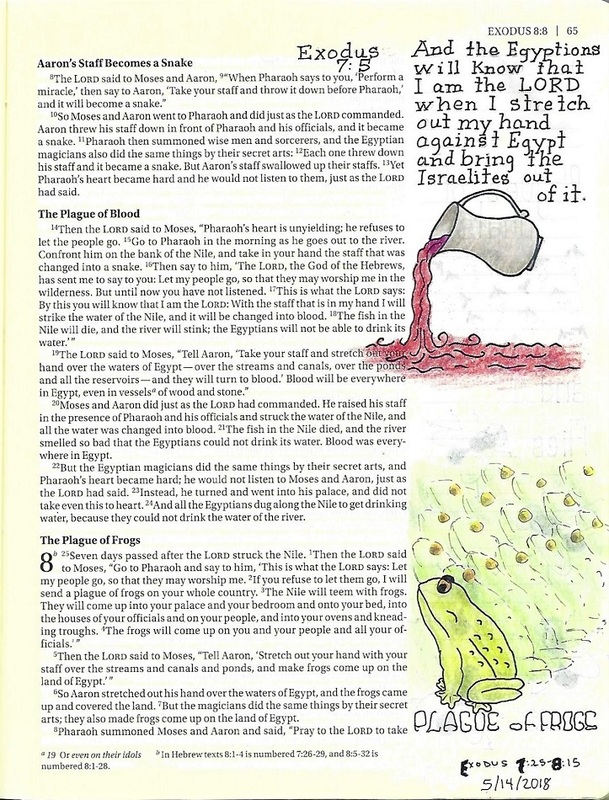 Many of the Jewish traditions were reminders of what God had done for them. Christian traditions are much the same for us (baptism, communion, celebrations of Christmas and Easter). When we participate in holiday traditions, let's follow the example in Joshua and remind ourselves of the WHY, not jut the WHAT that surrounds them. 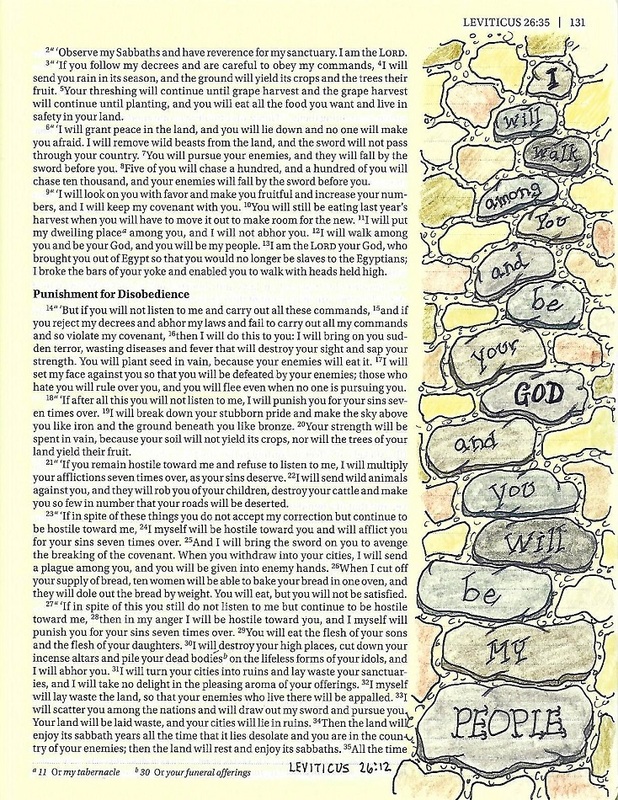 I have had a bookmark in my study Bible for many years with this KJV paraphrase on it. I think it was a Secret Sister gift. I love that it is personalized with my own name. 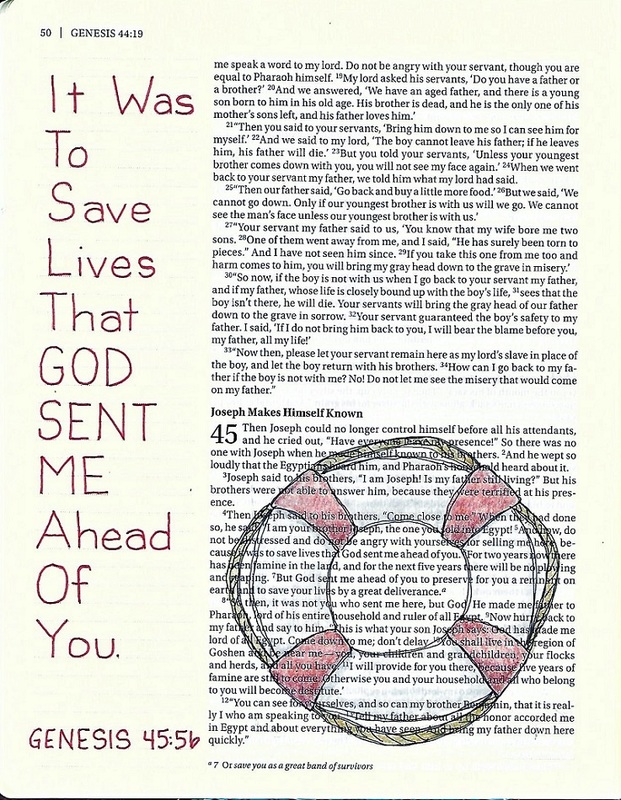 I decided to use the same concept with the NIV wording and now I have it permanently in my journaling Bible. As usual, I think the hardest thing about challenges with prompts is deciding what to do for the artwork. 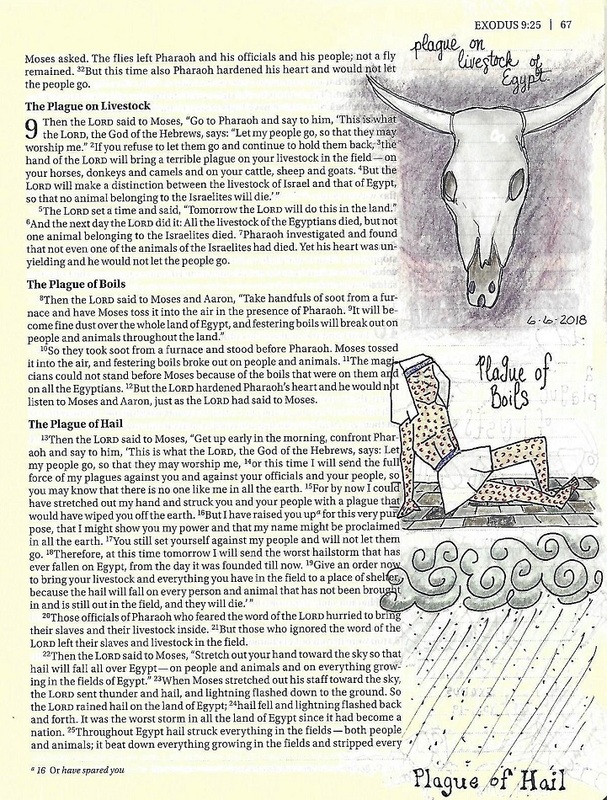 In this case, sometimes the art was easy to decide on but it was more difficult to decide what scripture to journal it on. 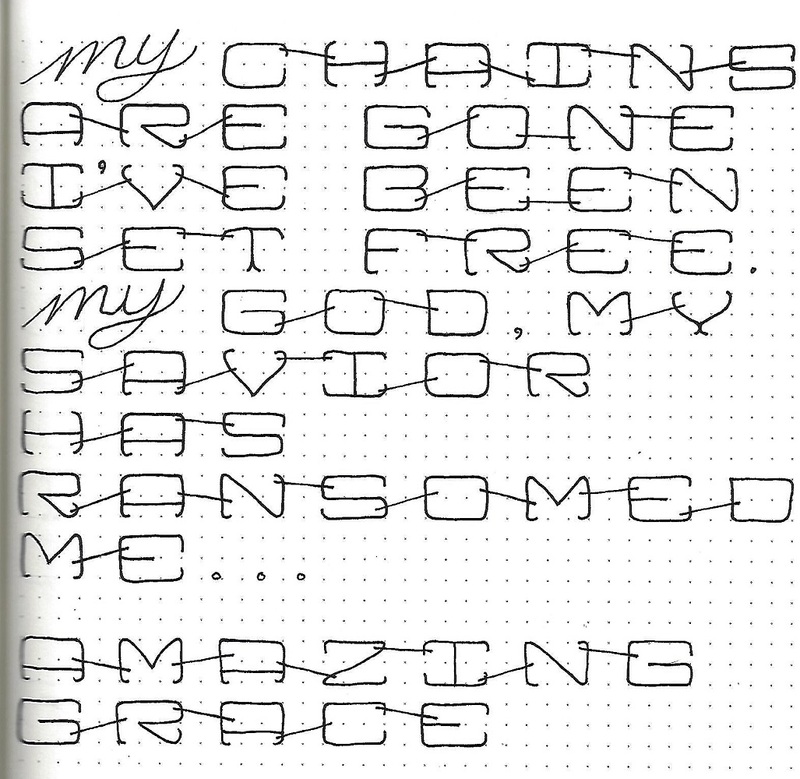 In some cases that was because I had already journaled on that page in my Bible, so had to choose an alternative. We're very close now to the end of the #BeThankfulFor challenge - just two days to go. Psalm 78:5 - "Blessed are those who have learned to acclaim you, who walk in the light of your presence, Lord." We can't see color in the dark! 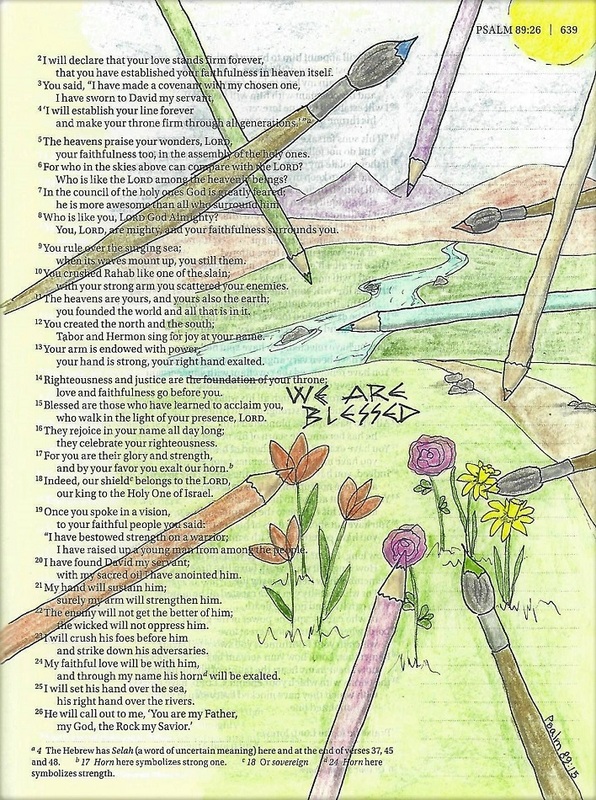 So every time we look on God's creation and see the colors with which He painted it, we are reminded that we are walking in the Light of his Presence. 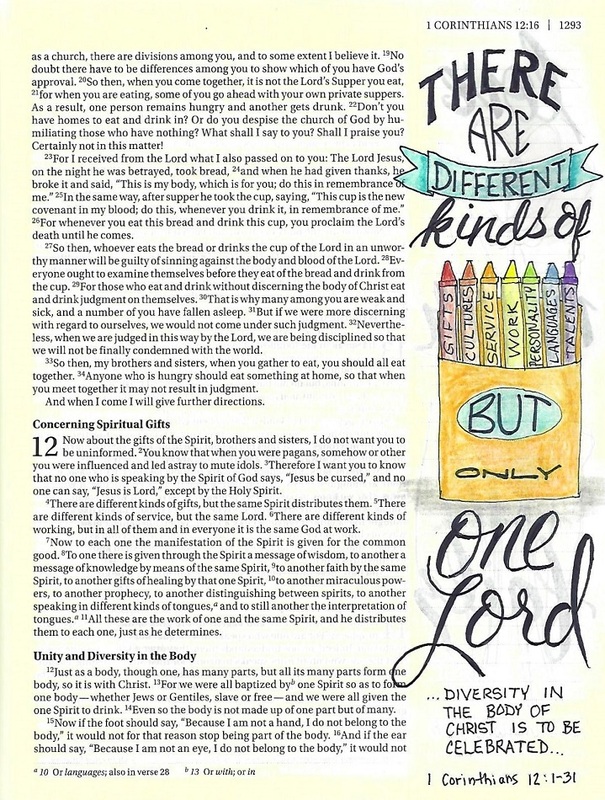 Diversity in the body of Christ is to be celebrated! 1 Corinthians 12 discusses many ways that different people with different talents, gifts and services are all serving one Lord. I'll be back with the last two together. I am continuing to tackle the 'almost' quilts I started back in June. I put the binding on two yesterday and have only one left that needs only this step. I have two more to quilt and bind and that will finish up the 6 that I want to donate to the hospital next month. This one is called 'Sunblock'. It uses 5 fabrics that I bought to go together. The tone-on-tone prints coordinate with the tropical floral in the large squares. This second one is called 'Doubly Charmed'. I started with two fall charm packs (same set) and chose a Missouri Star Quilt Company tutorial called Grand Square for block directions. Their directions required more of each matching print than I had so I mixed and matched the blocks. The background creams are scrappy as well and I had to add more fabrics that coordinated with the charm squares to get a quilt large enough. Then, because they were already scrappy, I decided to twist and turn them away from the pattern layout and this is how it ended up. Whew! I still have plenty of 'in progress' quilts but they are all still 'in pieces' so I will set them aside to work on in the new year. Day 26 for the #BeThankfulFor challenge has the prompt 'Strength'. 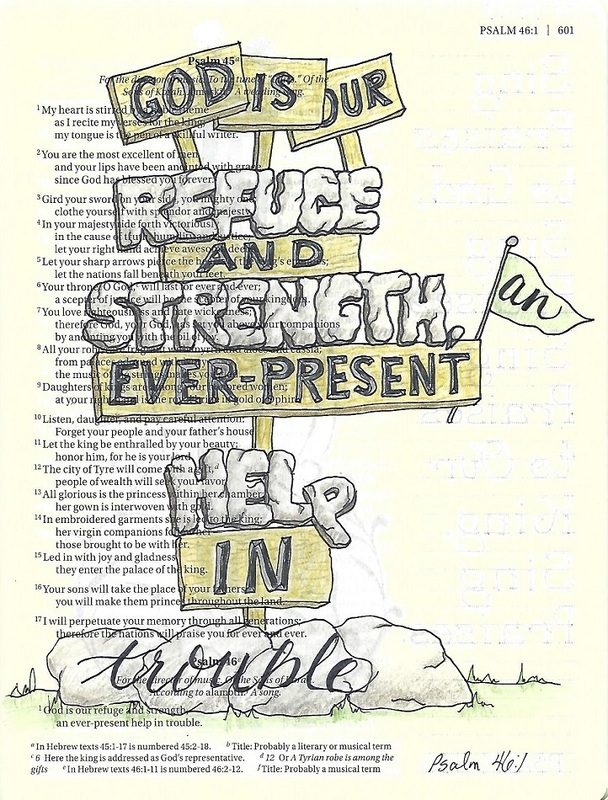 I journaled on Psalm 46:1 "God is our refuge and strength, an ever-present help in trouble." I'm glad this scripture pairs 'refuge' and 'strength' because sometimes, before you go out to stand in the chaos, you need to have a quiet refuge to regroup and recharge. Then God goes out with you! I used rocks to signify the strength and solidarity of God and the sign-posts to point the way. I kind of set aside quilting for a bit to work on other hobbies but I had six in the final stages waiting for me. I got four of those quilted earlier this month and then actually finished one up. This is a lap quilt. I had a fabric bundle that I thought was fat quarters so I picked out this pattern. Unfortunately, when I opened the fabrics up I discovered they were all only fat eighths! That did not give me enough of each fabric to cut and lay out the way they were supposed to go so I cut more coordinating fabrics at home and went with dark/light combinations in the four-patches within each block. Originally the light in the four-patch and the light in the adjoining half-square triangle would have been the same. I really like my version of this! I will donate this to the Passages program at the hospital. I finally got caught up with the #BeThankfulFor challenge! Here are the next seven (Yes, SEVEN) pages. 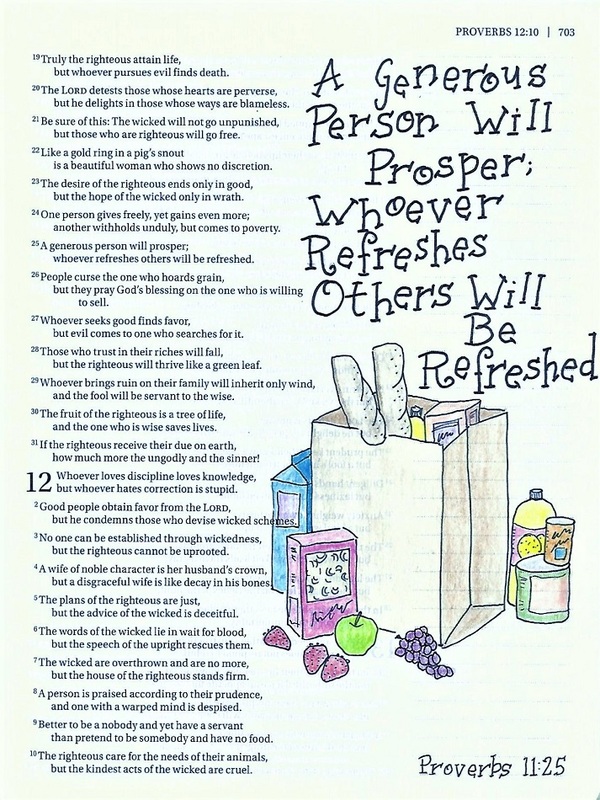 Proverbs 11:25 - "A generous person will prosper, whoever refreshes others will be rewarded." The prompt is asking us to be thankful for generosity but I turned that around with the scripture. I want to be the person who creates thankfulness in others by my generosity. But I don't want to do that SO I will be rewarded. 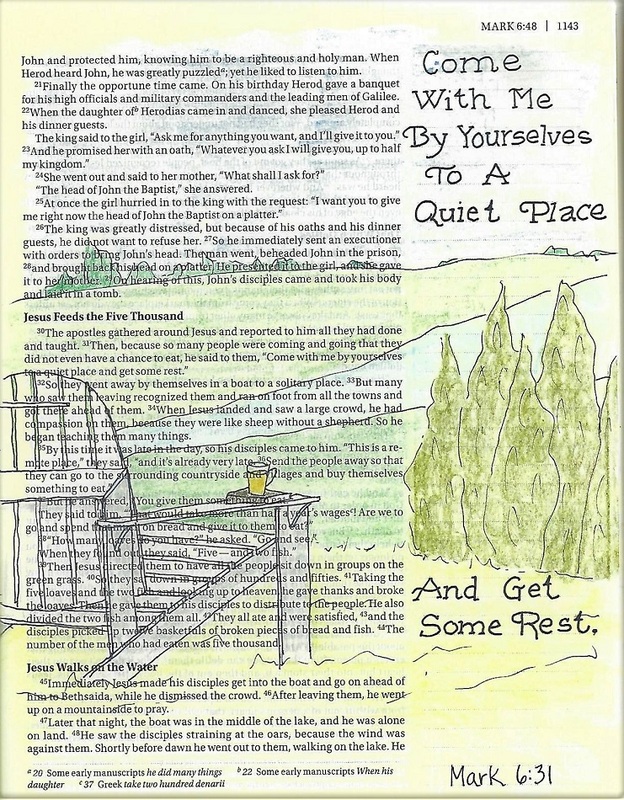 Mark 6:31 - "Come with me by yourselves to a quiet place and get some rest." Jesus knew the importance of getting rest and understood that the most relaxing circumstances would involve just Him and us. Habakkuk 3:19 - "The Lord is my strength. 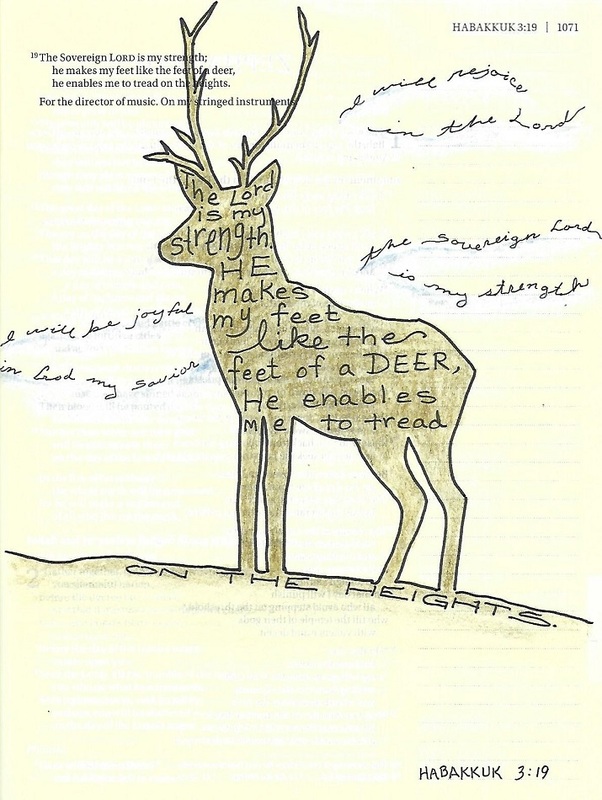 He makes my feet like the feet of a deer, He enables me to tread on the heights." My hope is in the Lord. He lifts me up and gives me the strength I need to take the hard steps. 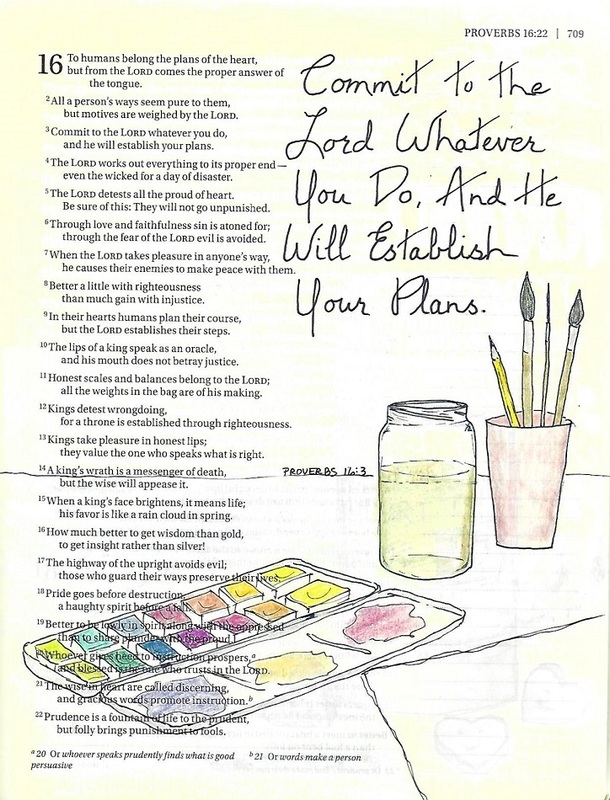 Proverb 16:3 - "Commit to the Lord whatever you do, and He will establish your plans." God had given me a passion for art and I want to honor Him by using it to celebrate Him. Ephesians 4:16 - "...the whole body, joined and held together by every supporting ligament, grows and builds itself up in love, as each part does its work." No question about it, everyone has a unique part to play in the body of Christ. 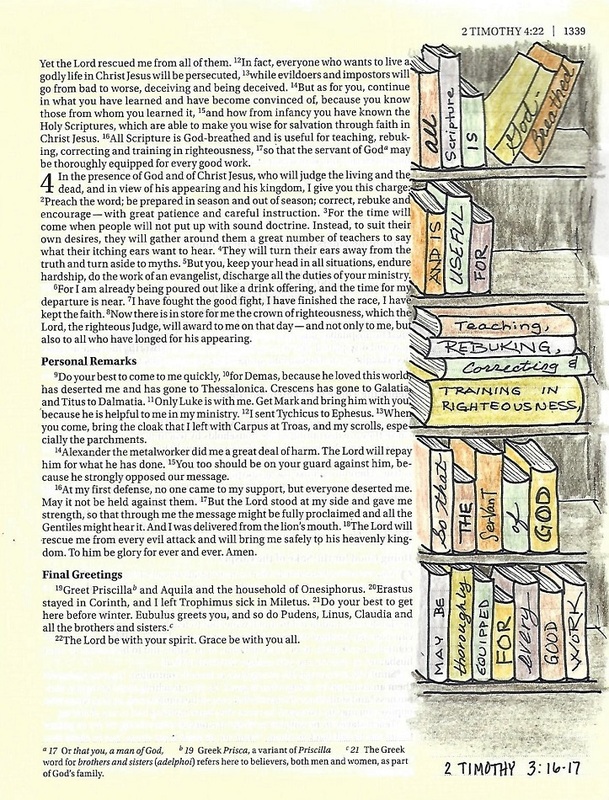 2 Timothy 3:16-17 - "All scripture is God-breathed and is useful for teaching, rebuking, correcting and training in righteousness, so that the servant of God may be thoroughly equipped for every good work." I don't know what I would do without books! But the Bible is truly my favorite. I never read a book more than once - except this one! 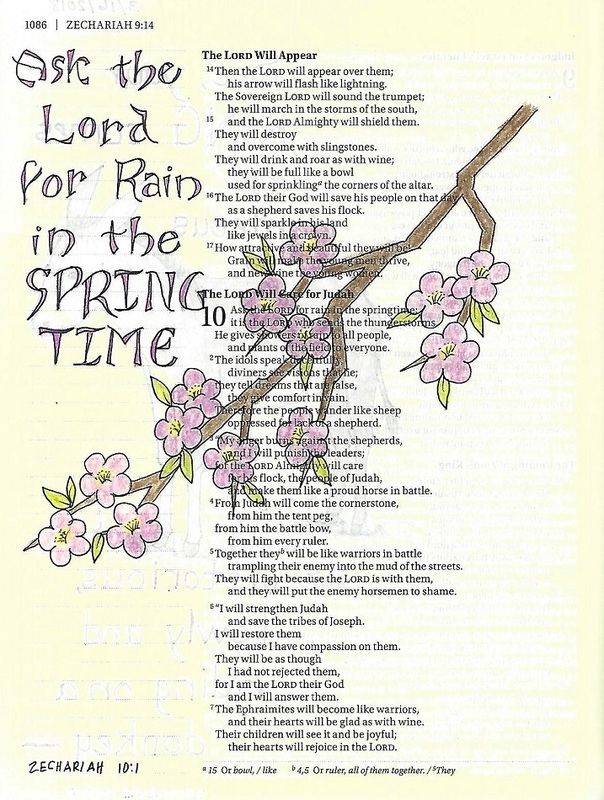 Zechariah 10:1 - "Ask the Lord for rain in the springtime." Where I live, we never have a lack of rain! But I do love the springtime (and the fall). That blessed rain brings on the blossoming trees and all the flowering bulbs. It all just makes me happy! Until I got caught up through the 25th I didn't realize how close to the end of the month we really are! Just 5 more pages in this challenge. Sure enough, this past week was the rollout of another series of lettering lessons. This week we used 'life' as the focus word. We are going to learn a font this week that is informal and fun and we are going to use ‘Life’ as our focus word. But before we go into details, let’s review the steps we use in the Lettering Lodge to learn new fonts. · The most important thing in our lettering concept is P-I-E. This stands for Pencil-Ink-Erase. As you are learning new styles it is best to work in pencil first. Take your time and ‘draw’ your letters rather than ‘writing’ them as this helps break away from one’s natural handwriting. Practice each letter multiple times until you are comfortable with the form. Trace your best effort in ink. Then, when the ink is dry, erase the pencil. · Practice paper should be lined, graph or dot grid. This will help keep your letters even and straight. There are free printable versions of all of these online. Once you proceed from letter practice to phrase writing the descender line will often double as the ascender line for the next row of text. · Study the new style to note the elements that make it unique. Is it a script or a print? Does it have serifs or not? Are the letter shapes linear or rounded? Are the bowls of the letters circular or oval? Is it an upright or an italic? Are there curves or curls or tails that are repeated? Learning to recognize these elements and practicing them before you start drawing your whole letters will get you to a point of familiarity and consistency much faster. · Remember, YOU are the artist! You have the freedom to change a particular letter form to something you like better as long as you keep it consistent with the style. In a similar vein, you can change an entire style. It is best to do this after you have learned it in the manner taught, though. Then feel free to give a little slant to an upright print; make a slanted script stand tall; make the caps all half again as tall – make it your own. So, let’s get started with this new lettering style? It is an upright script that combines a lot of ‘print’ styling including half-serifs. Note that I’ve worked on a 4-unit font height with an x-height of 2 units. WAIT! Did you skip over those bullet points above? Please go back and read them, even if you think you already know it. It is important! 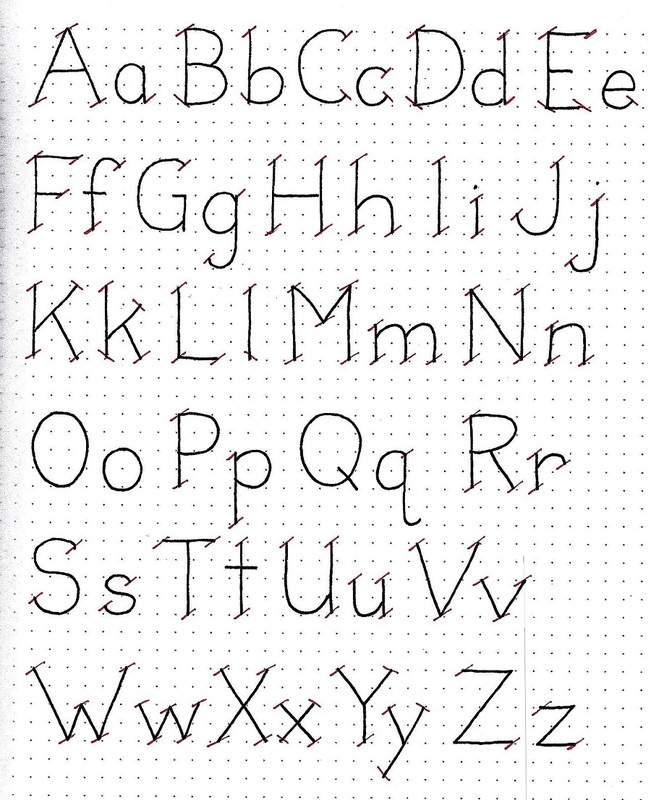 The best way to learn and to use this particular font is to draw out the base letter (in pencil), connect the lower-case letters in a natural way (in pencil), add the half-serifs (in pencil) and then ink over everything and erase the pencil. Ready? Time to practice with both the upper- and lower-case letters in the word ‘Life’. With the reveal of the whole alphabet let’s look closer at the features that make up its ‘style’. Most of the capitals are closer to a print style while the lower-case are more script. Watch for the half-serifs on the capitals although some do NOT have them (J, O) and there are a few lower-case that do have them (c, I, m, n, p, q, u, v, w, x, y, z) – there were a lot more than I realized! The lower-case ascenders come all the way up to the same height as the caps (except the t) and the descenders are two units below the base line. There is some really nice styling on the f, J, Q, and s.
Take time to practice a lot so as to become thoroughly acquainted with the font. This will make the later exercises easier to accomplish. Don’t worry about connecting letters today, we’ll go over that in tomorrow’s lesson. 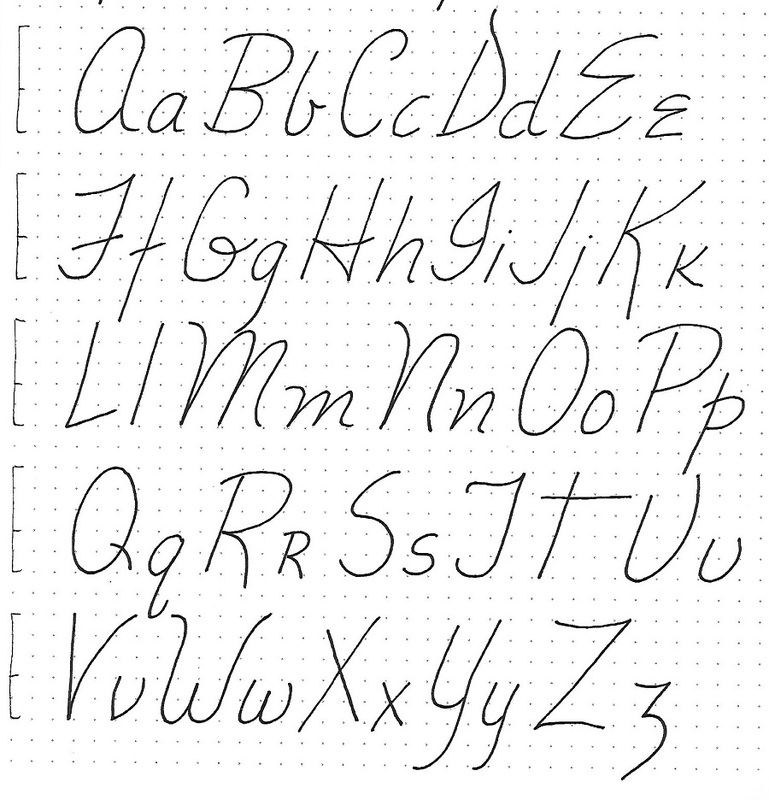 As you write them on your practice sheet you will be concentrating first on the letter forms and then on the connections between the letters. Try to get the spacing between the letters as even as you can. Keep in mind that it is fully permissible to lift your pen/pencil between letters. 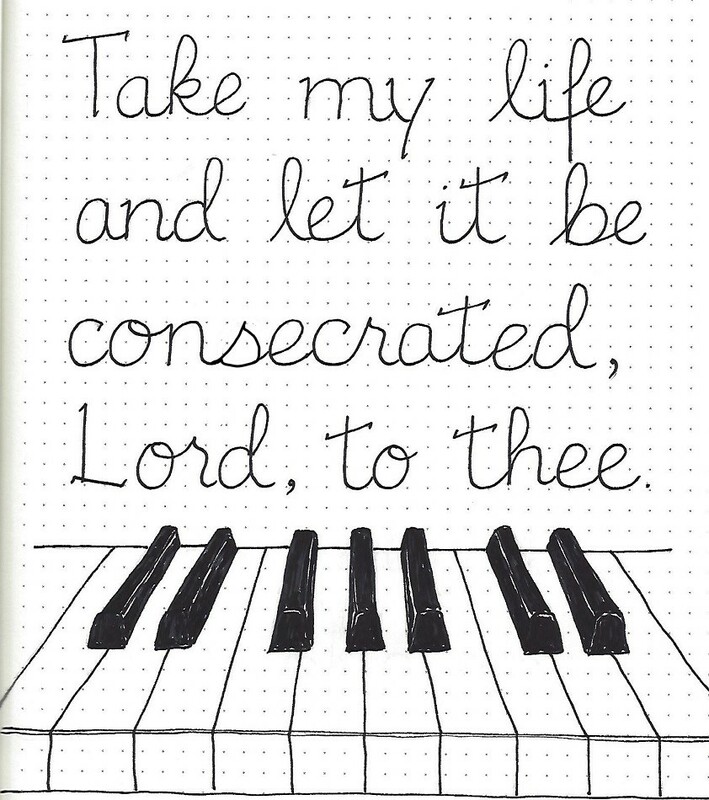 Your connecting line may end near the bottom of a letter whose own starting point is at the top (see the nd combo in ‘and’, the nc and ra in ‘consecrated’, the rd in ‘Lord’. Use the P-I-E (pencil-ink-erase) method to create your best work. Remember, we are ‘drawing’ the letters instead of ‘writing’ them. I made a little piano keyboard to decorate my page, just for fun. As we do every Thursday, we’re going to find a scripture with the focus word (Life) and write it out on a practice page. 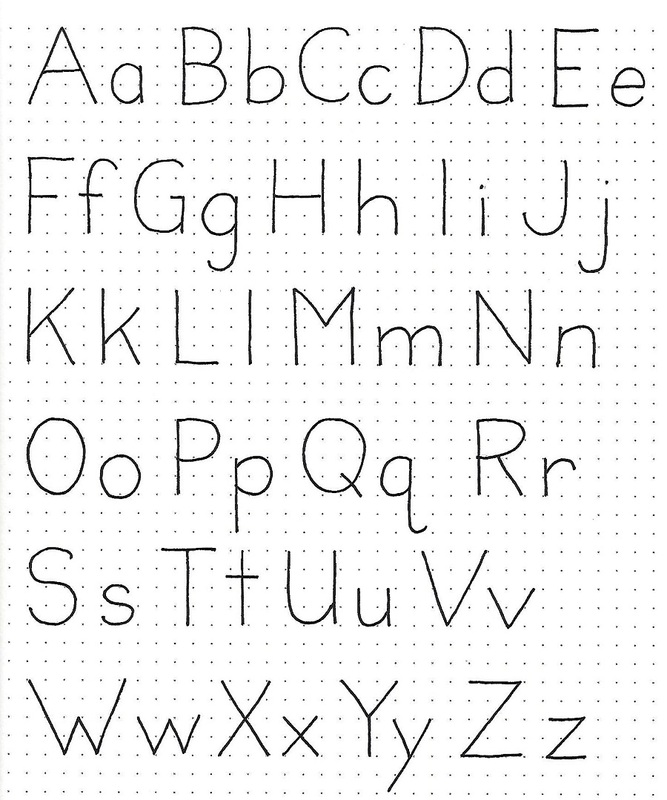 This is one more way of getting practice with the font that may use different letters than you used yesterday. Although I did not on today’s piece, I often use caps on ALL of my words just so I can practice more of them. 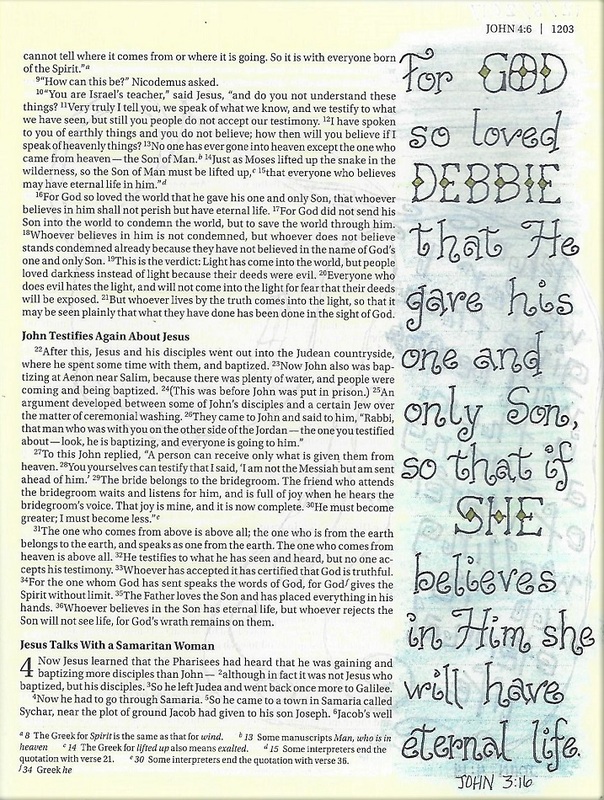 Today I used a paraphrase of John 3:16 that I have on a bookmark that was given to me many years ago. It would be fun to see many of you use this as practice, personalized with your own name, of course. 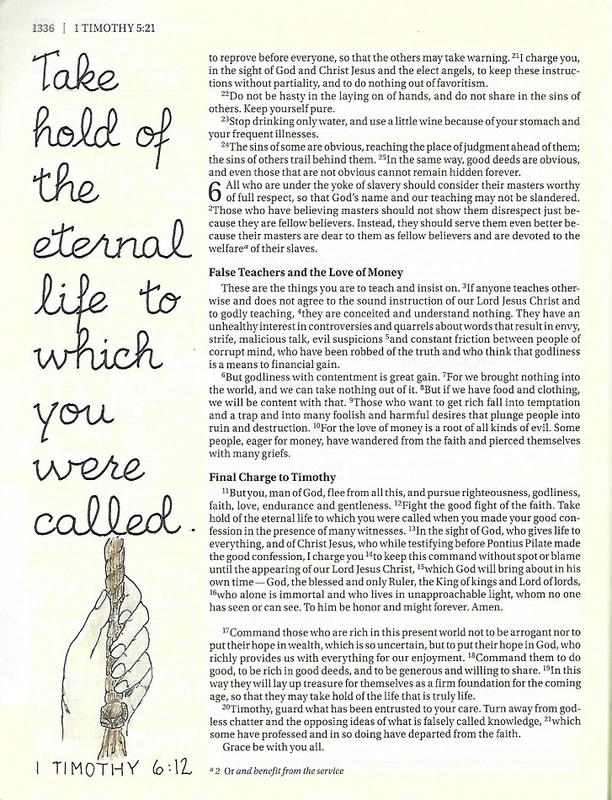 Now it’s time to use the new font in our bibles in journaling a scripture using the word ‘Life’. You will probably have to shrink your letters to fit in your space. Just keep in mind that the x-height is half the overall letter height and you can easily re-size it. The steps are the same: pencil-ink-erase. We never do go directly to ink in hand-lettering. 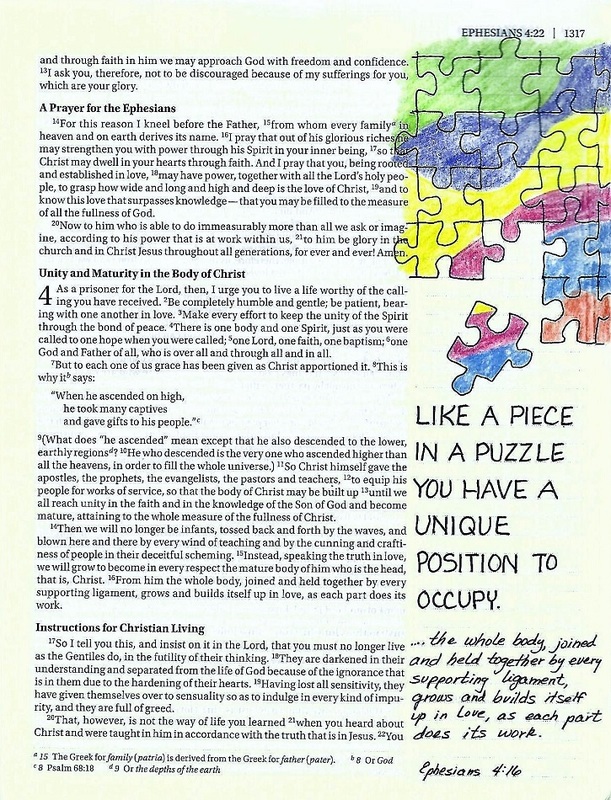 I used 1 Timothy 6:12 with an illustration of ‘holding on’. I hope you are enjoying these weekly wrapups of the lettering tutorials and find occasion to use the alphabets in your own work. 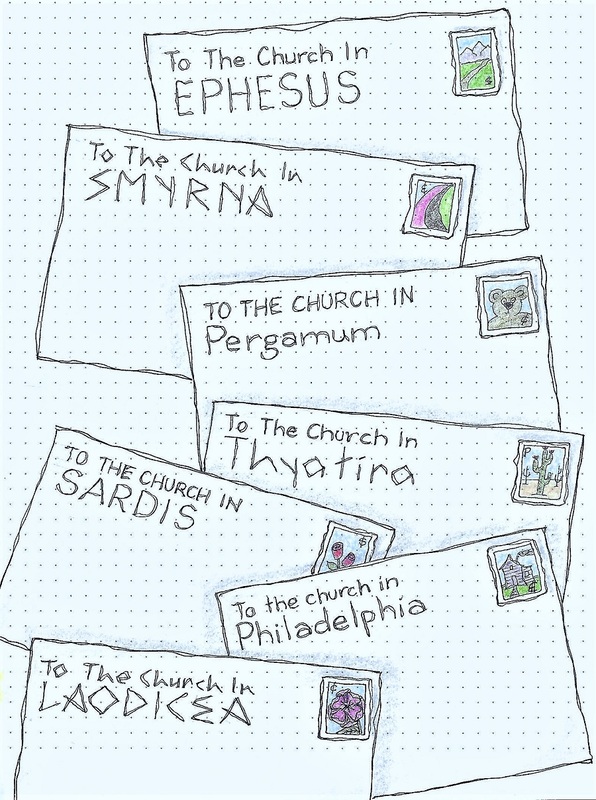 I got a bit behind on my #BeThankfulFor challenge so I did a number of them all at one sitting. 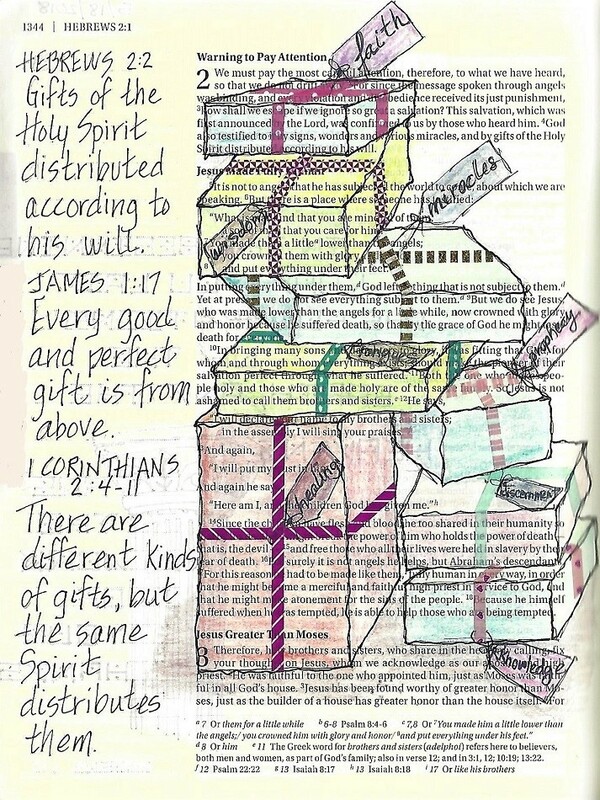 I kept coming back to 'gifts' and pulled up sections of three scriptures to focus on the gifts of the spirits. I used portions that did not list these gifts so I included them as the tags on the presents. I used very narrow washi tape as the ribbon on the gifts. Basking in the Warmth of the Son. I got the general idea for this page off Pinterest but added my own lettering styles and caption. 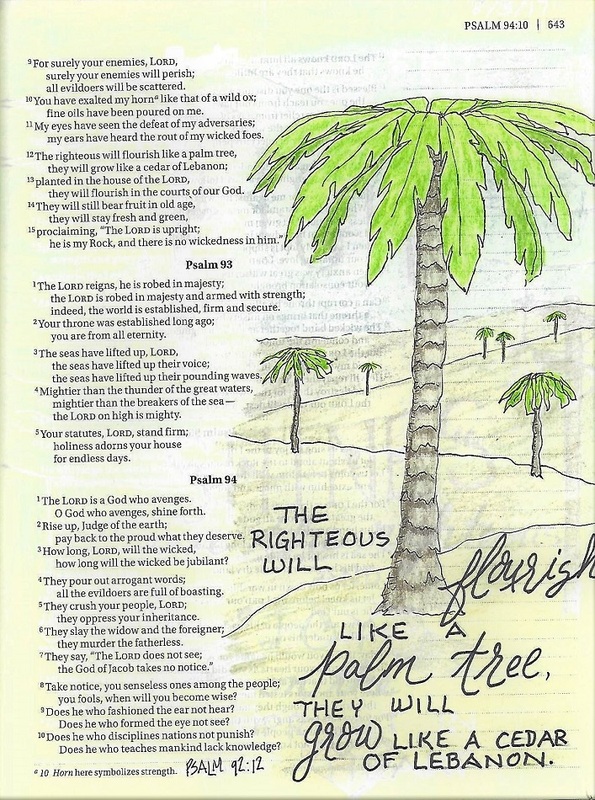 The righteous will flourish like a palm tree, they will grow like a cedar of Lebanon. 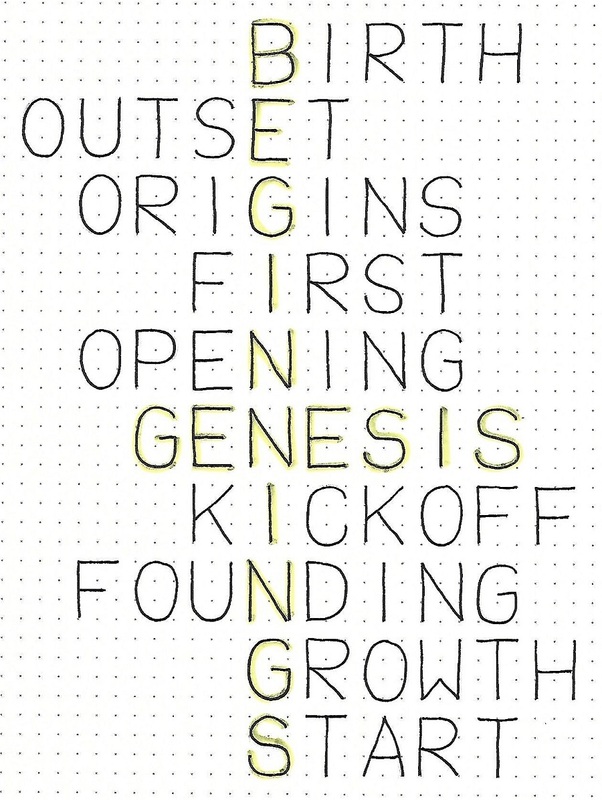 What better way to grow than in our faith? That is something to celebrate. 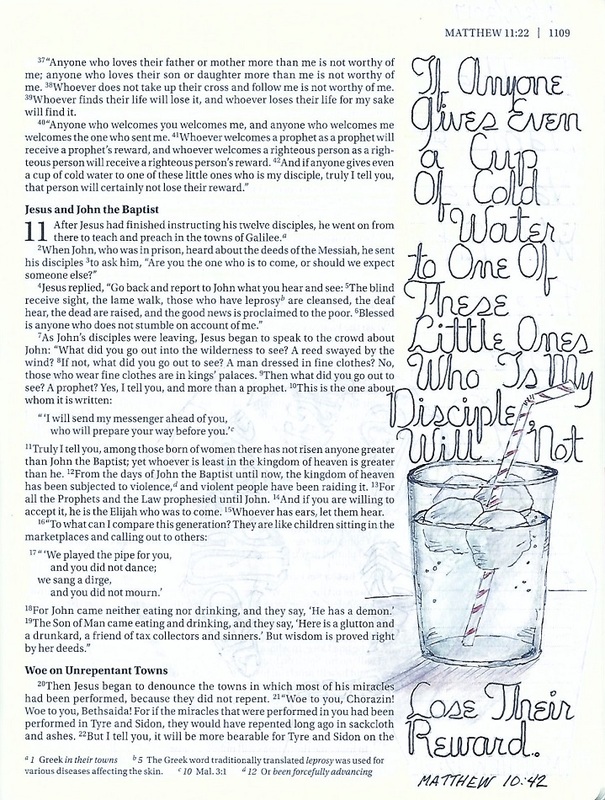 I used this verse with a glass of water in a watercolor painting last July. This time, I found a YouTube video on drawing a glass of ice water (aimed at children). It was SO easy to follow and the results were perfect! 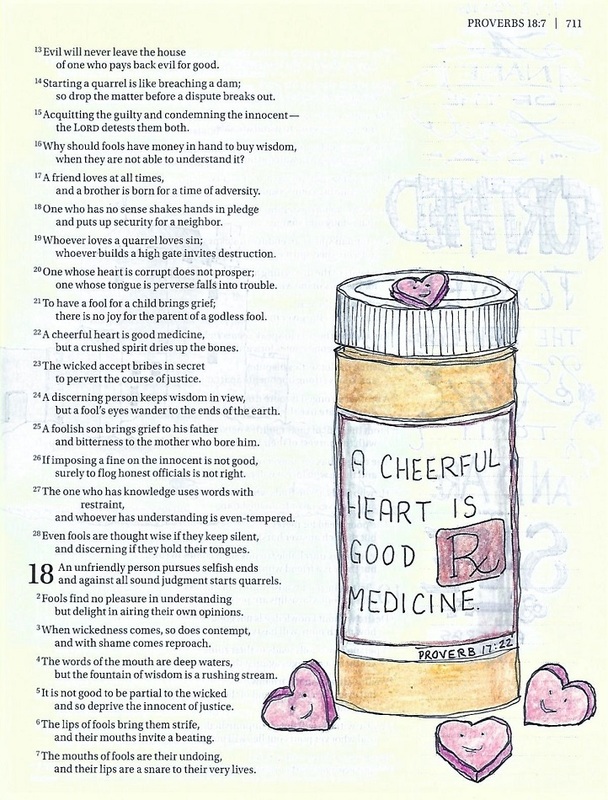 For the many years I read the Readers Digest magazine, there was a column called 'Laughter is the Best Medicine'. I wonder if they knew they were quoting scripture? This layout was inspired by Pinterest but the actual artwork is all mine. 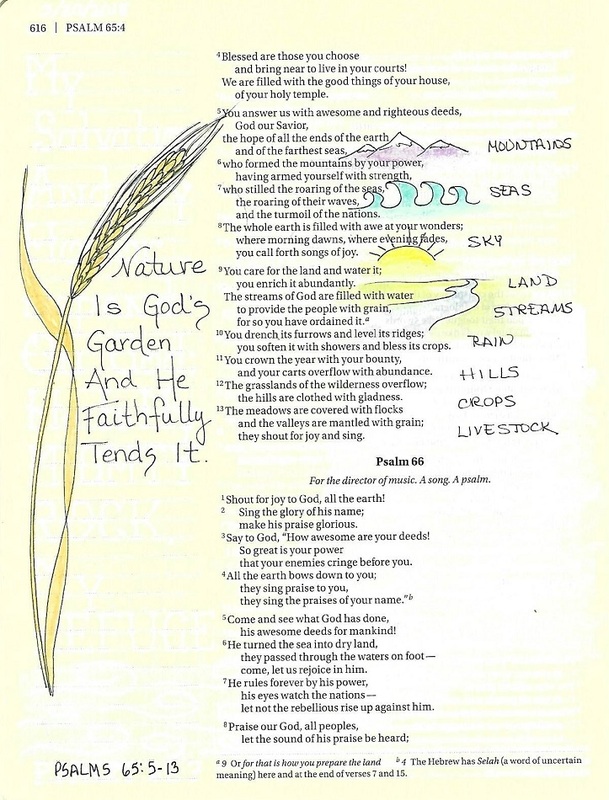 This section of scripture celebrates the whole of creation and reminds us that God still takes care of the earth. I still have a few days to get caught up but will certainly be finishing out the month with this challenge.